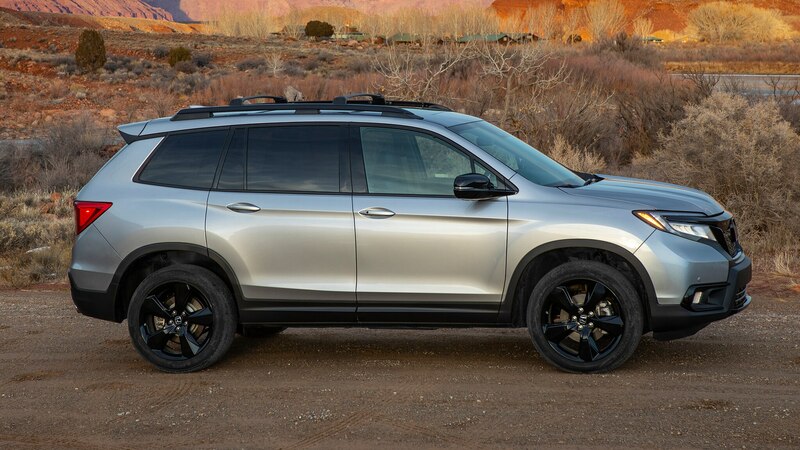 In the same way I thrill over well-balanced drivers’ cars, I enjoy any vehicle that fulfills its mission and simply makes sense. 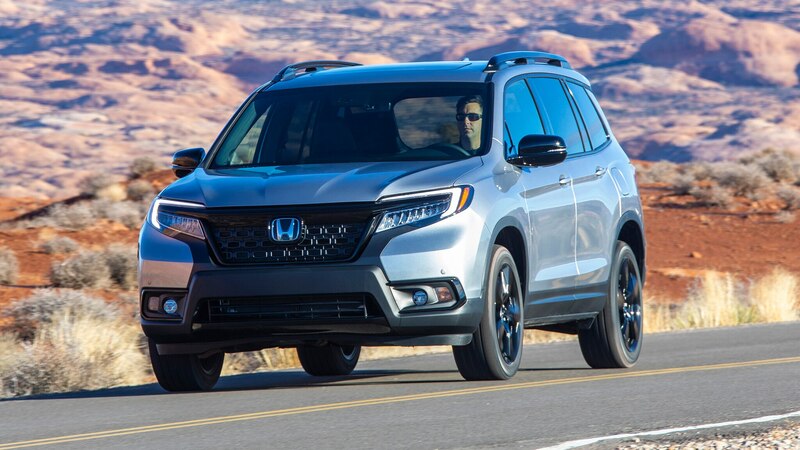 If a car suits its role like a specialized tool, it can be just as gratifying as a pint-sized roadster or rapier-sharp supercar. 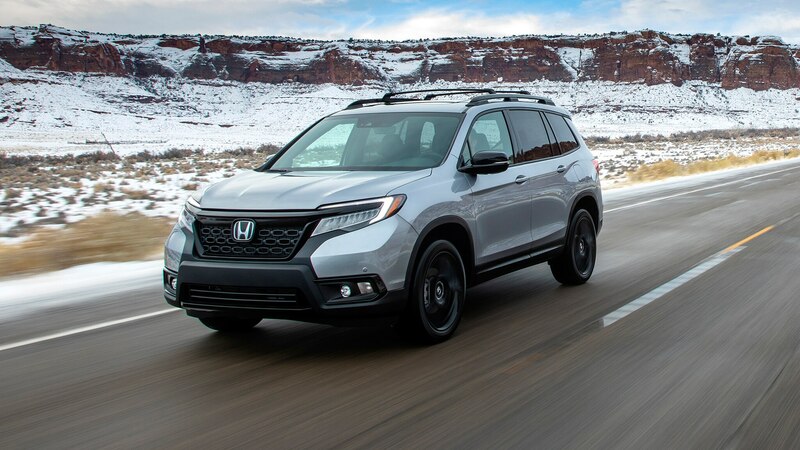 Despite routine seat time in hot hatches, pony cars, and pricey transcontinental GTs, a prominent vehicular memory involves an pleasant weekend shuttling friends in a Black Forest Green Honda Pilot, one of the more appealing mainstream three-row SUVs. 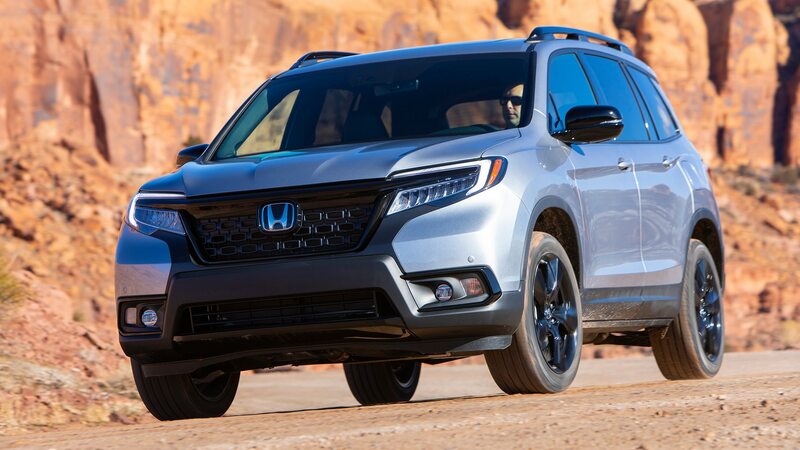 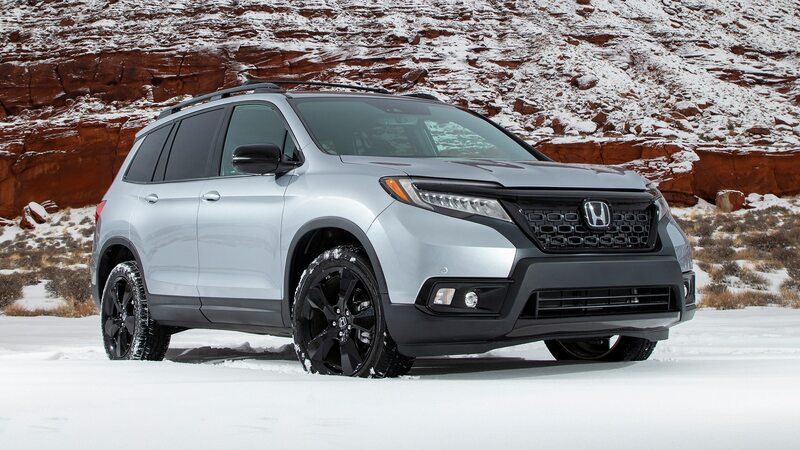 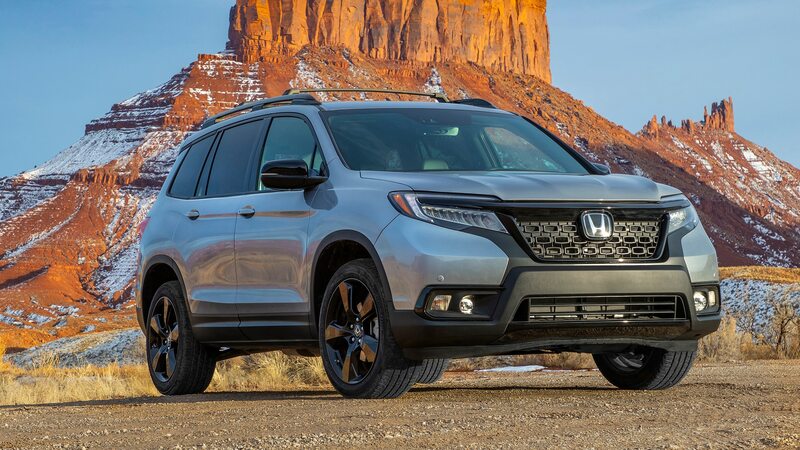 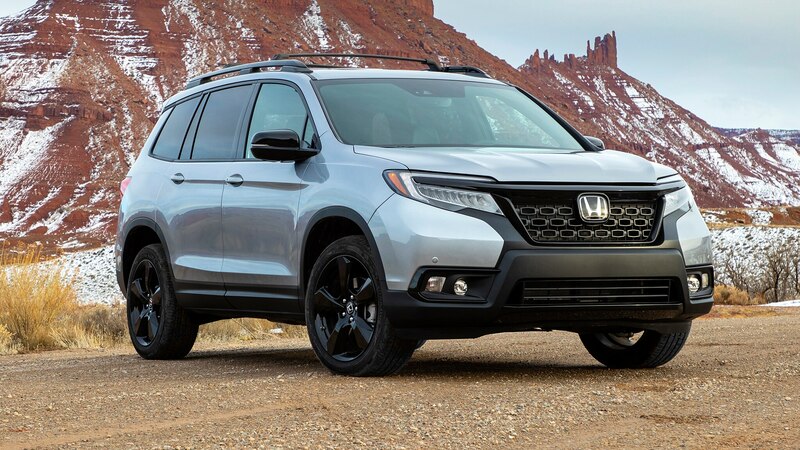 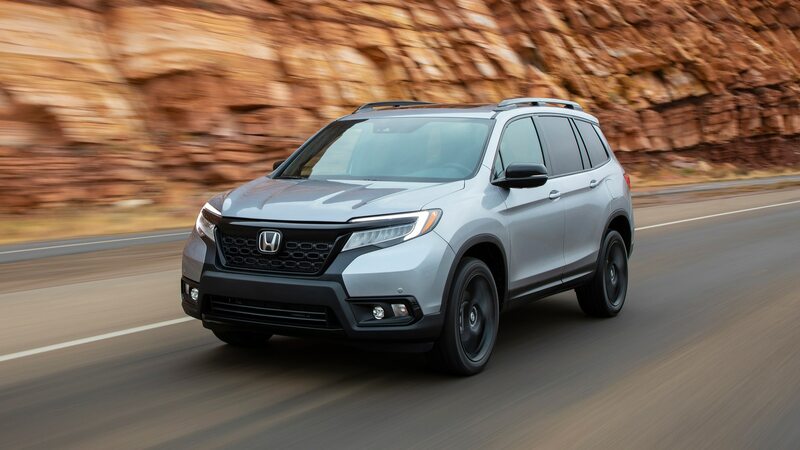 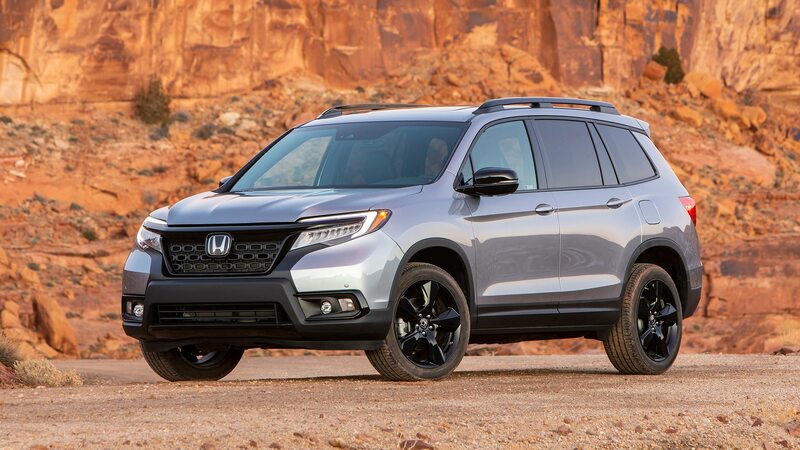 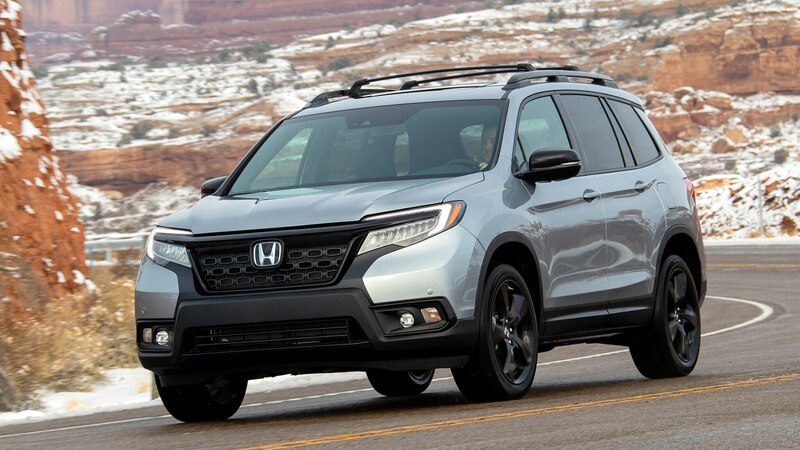 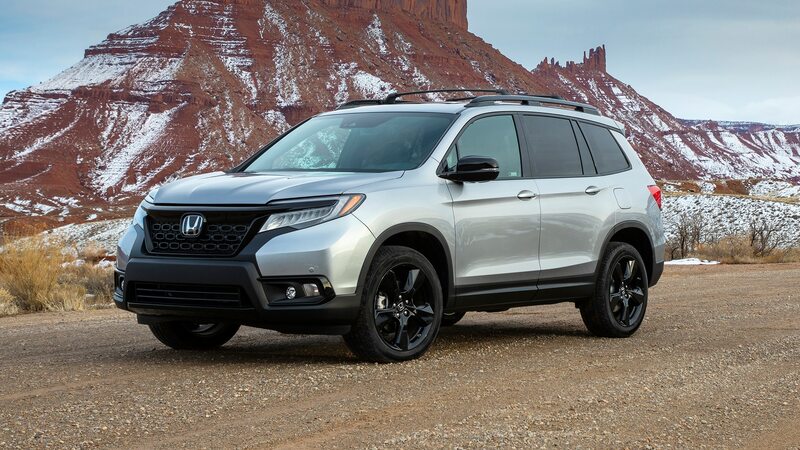 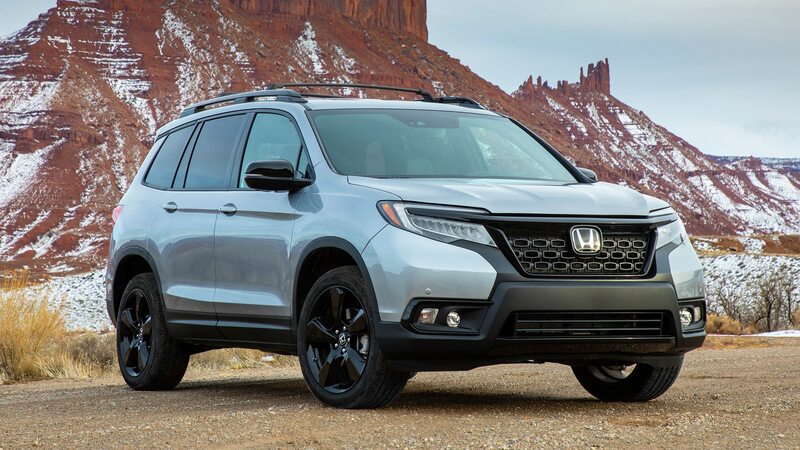 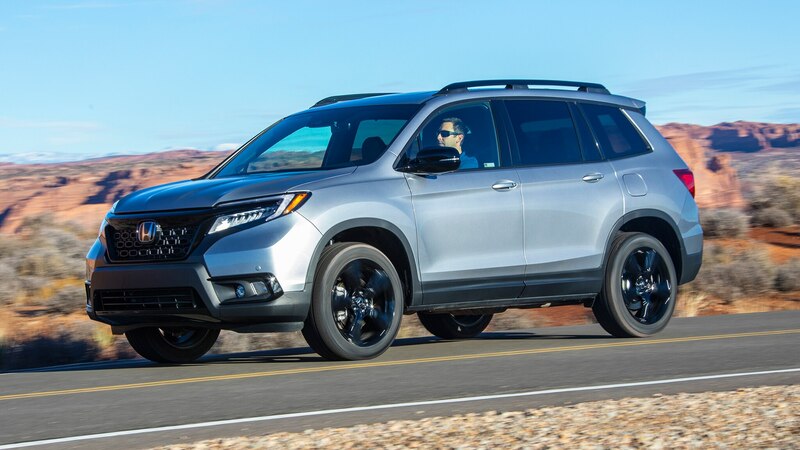 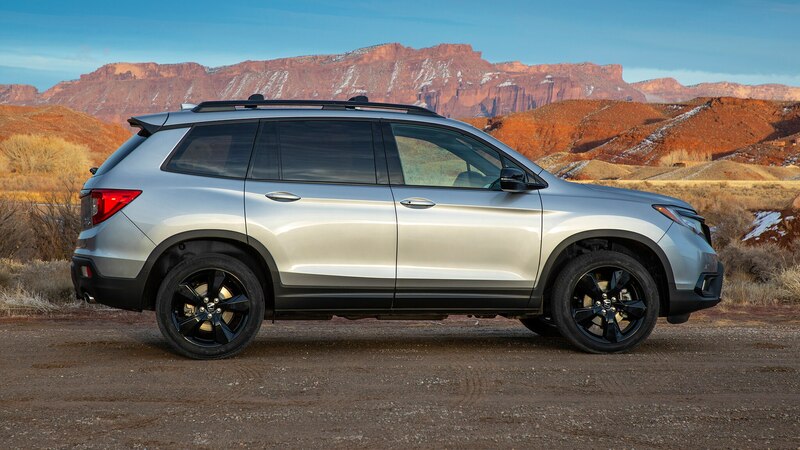 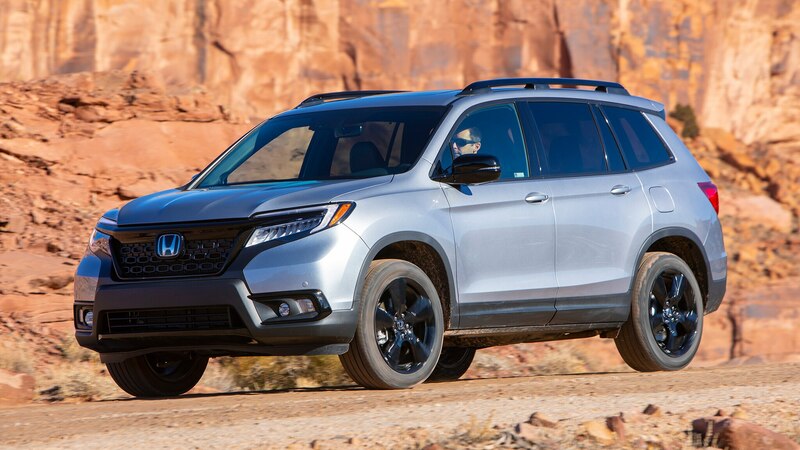 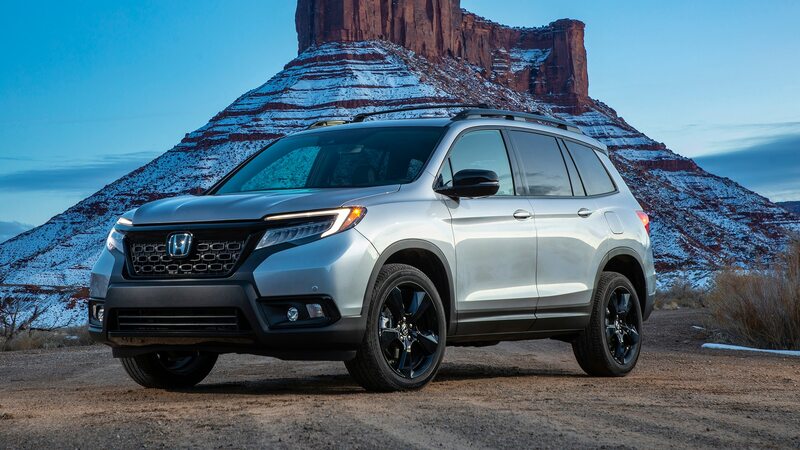 So when the all-new 2019 Honda Passport debuted last November, it immediately hit the top of my “gotta drive it” list, despite its debut occurring at the same auto show as a new Porsche 911, a Jeep pickup, and a spectacular Audi concept. 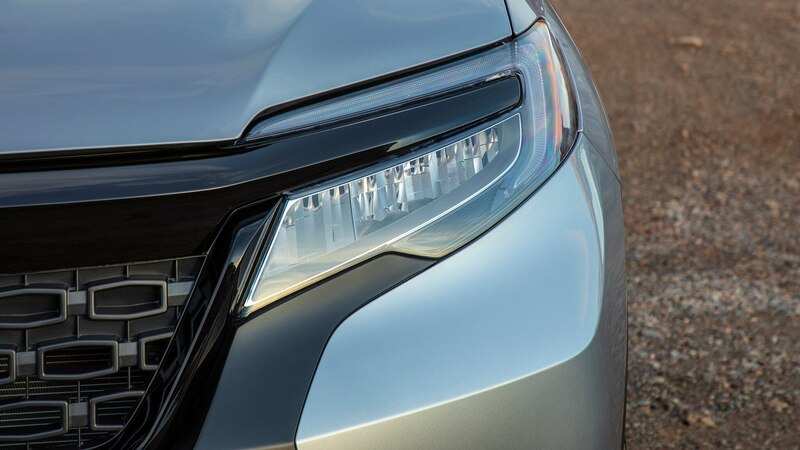 Yeah, I haven’t quite figured myself out either. 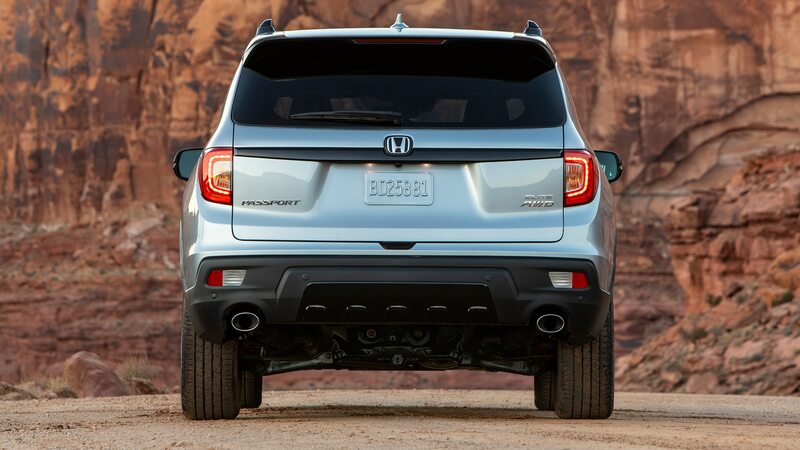 Essentially, Honda’s newest crossover SUV is a shortened two-row derivative of the three-row Pilot. 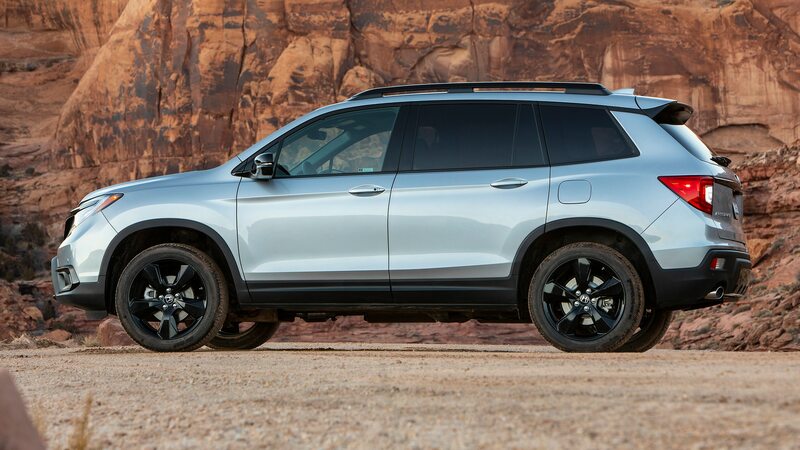 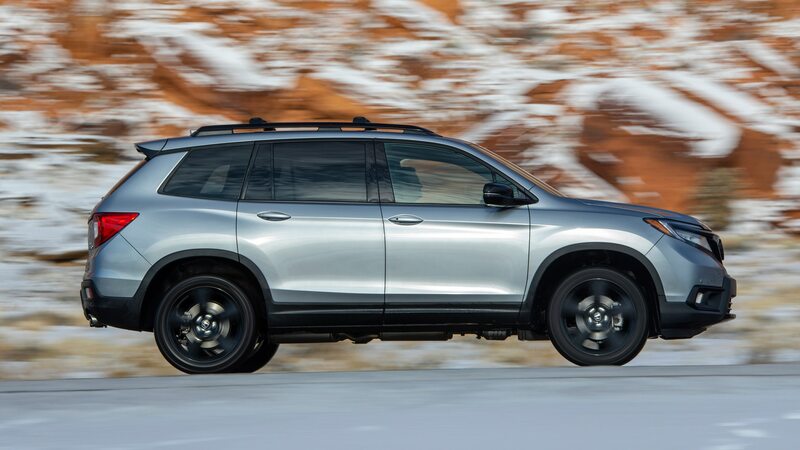 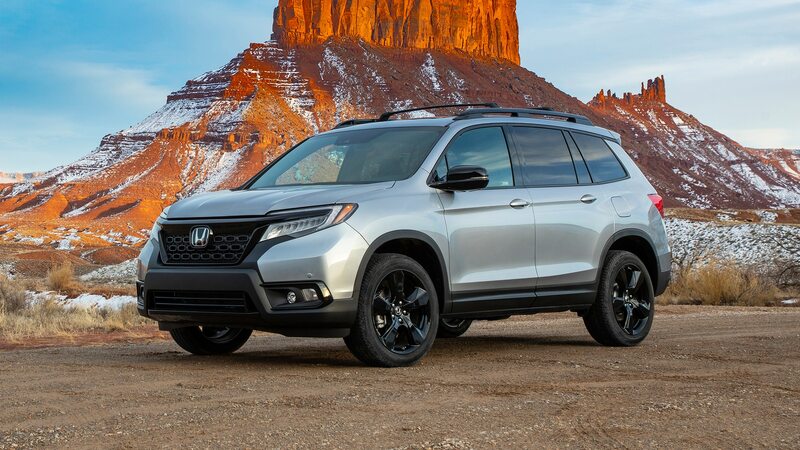 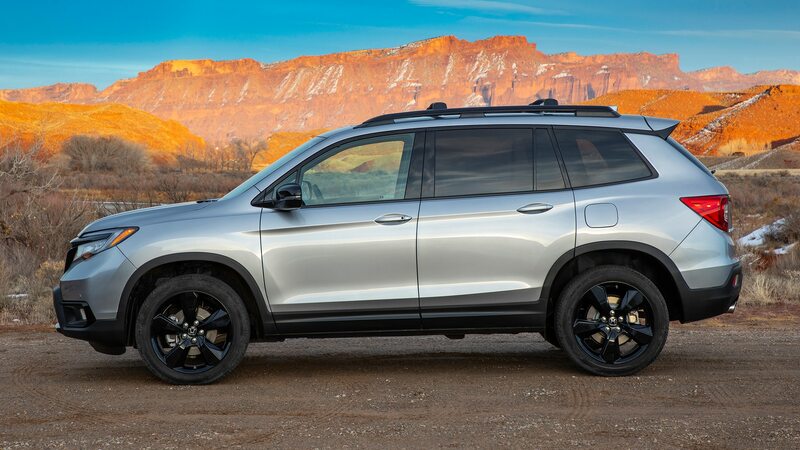 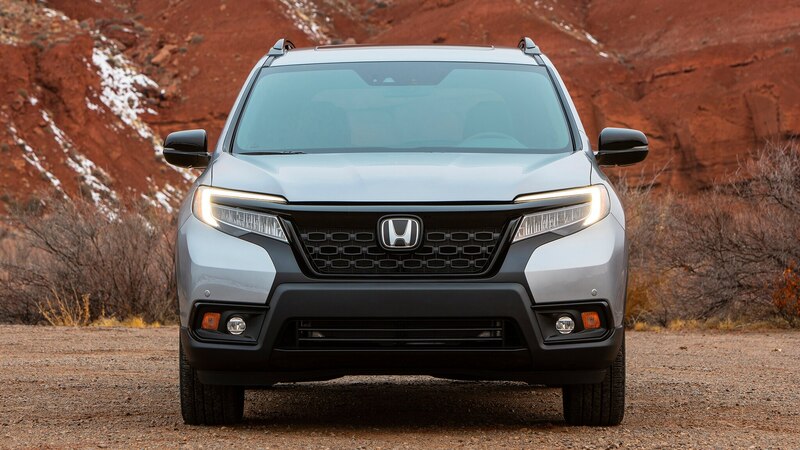 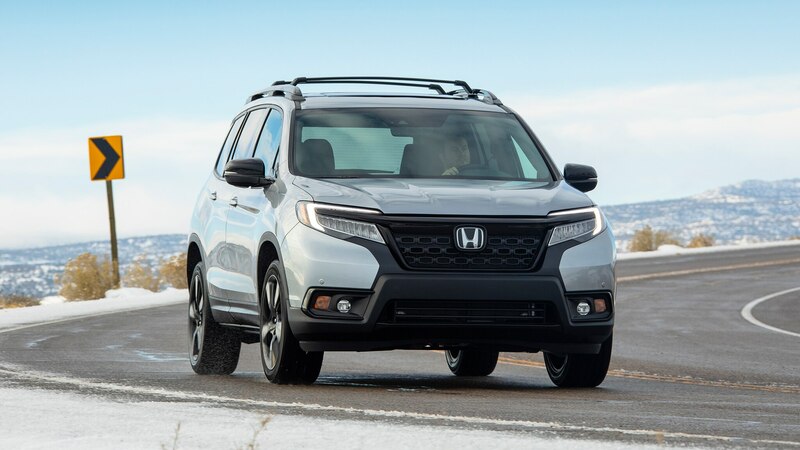 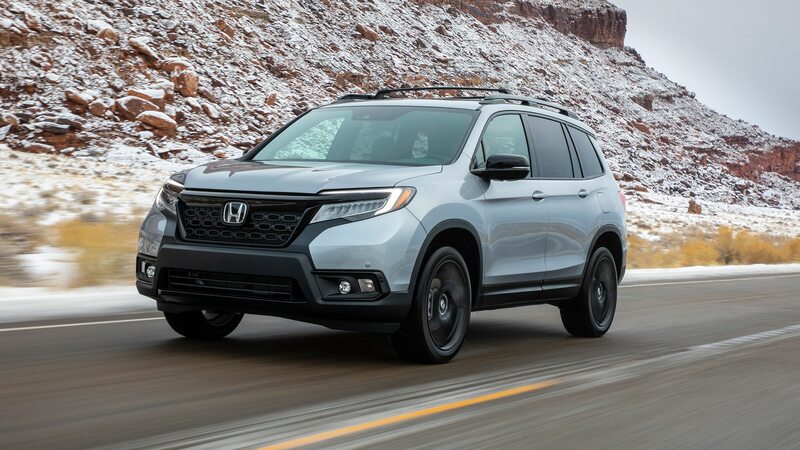 Honda says the Passport was co-developed with the Pilot, but the company promises up and down the latter model is markedly different from the former; sharing Honda’s Global Light Truck Platform and an identical wheelbase doesn’t do that argument any favors, however. 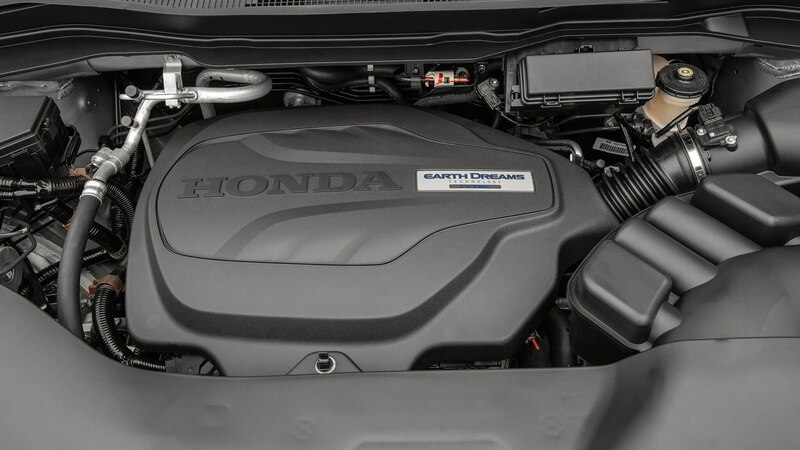 Nor does the Passport’s standard 3.5-liter V-6 engine producing the same 280 horsepower and 262 hp as in big brother. 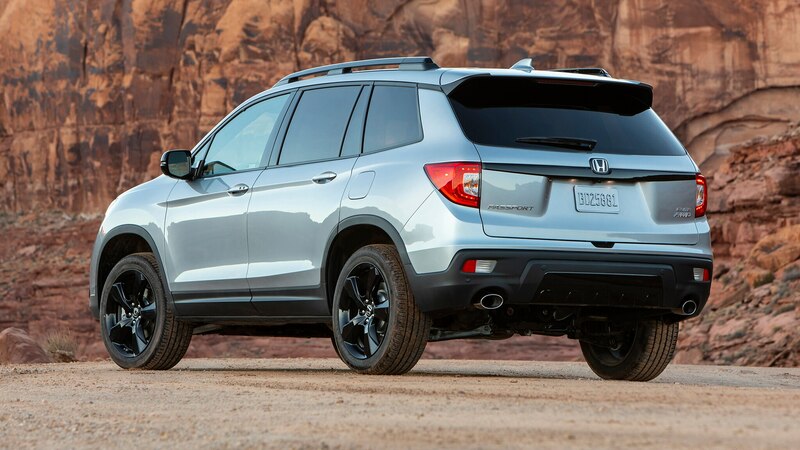 There are some notable differences between the resurrected Passport and Pilot, though. 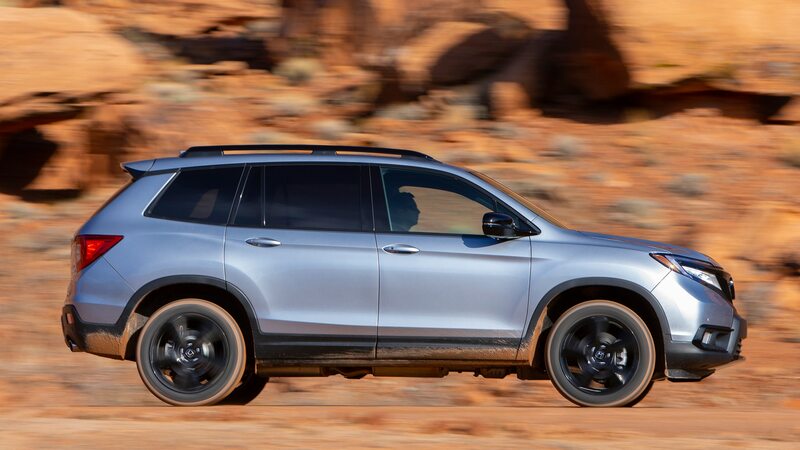 For one, the ZF-sourced 9HP48 nine-speed transmission is standard across the Passport family, remaining optional on the Pilot. 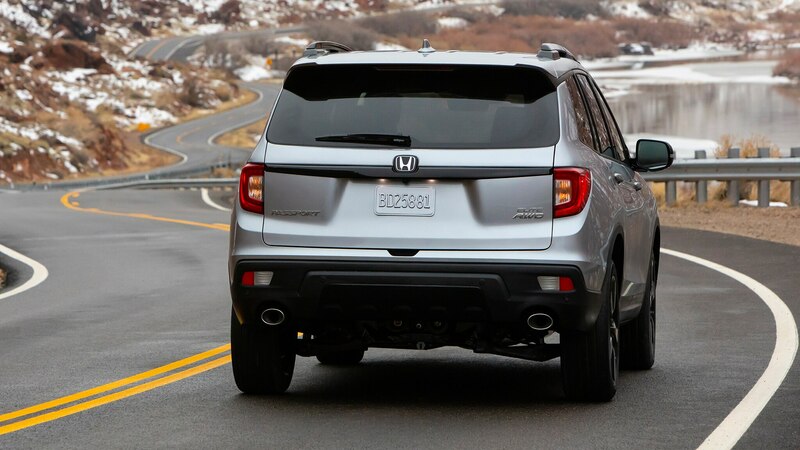 And without the need to accommodate a third row of people, the Passport’s rear overhang is reduced by 6.2 inches and it gets steeper rear glass. 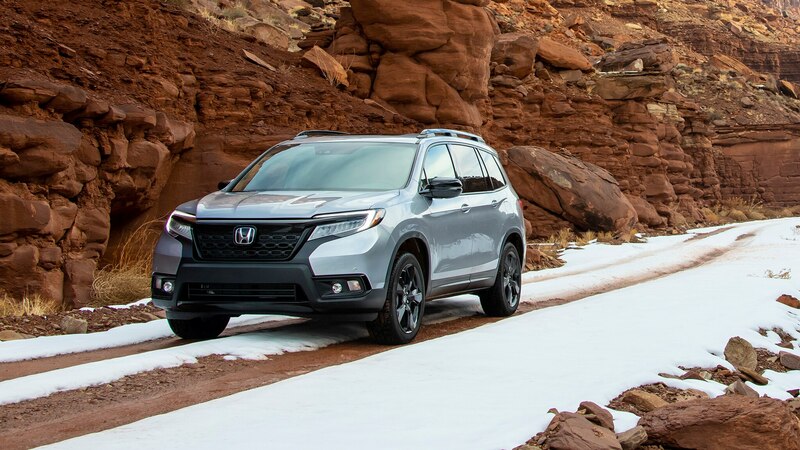 Honda bills the Passport as the most rugged and sporty crossover in its lineup, aimed at the classic “weekday professional/weekend warrior” consumer trope. 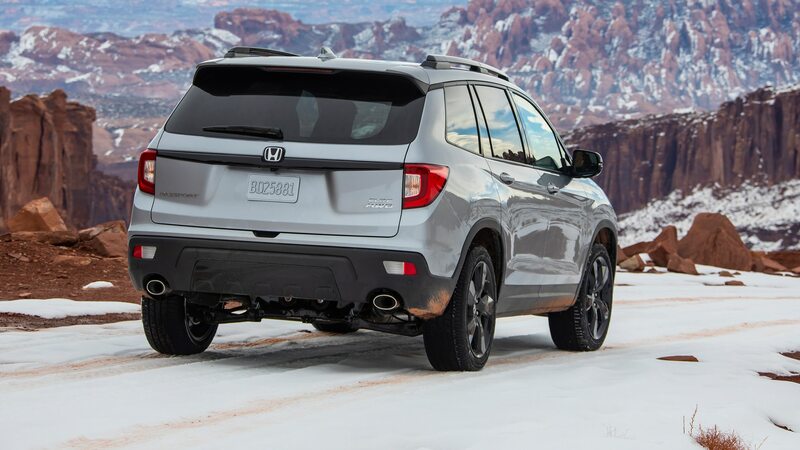 As such, it is meant to split the difference between soft-roaders like Ford Edge and Hyundai Santa Fe and rock-crawlers like the Toyota 4Runner and Jeep Grand Cherokee. 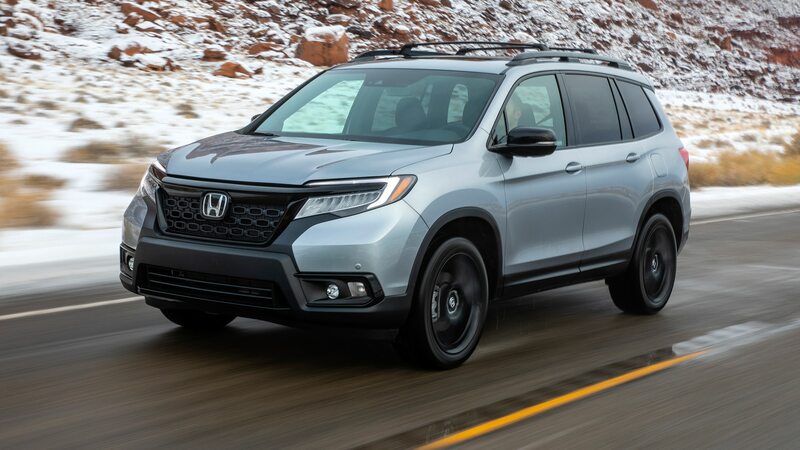 It’s even more capable than the Pilot, with 0.8 inch of additional ride height on the all-wheel-drive model, along with a quicker steering ratio, a more responsive brake pedal, and bespoke suspension and anti-roll geometry. 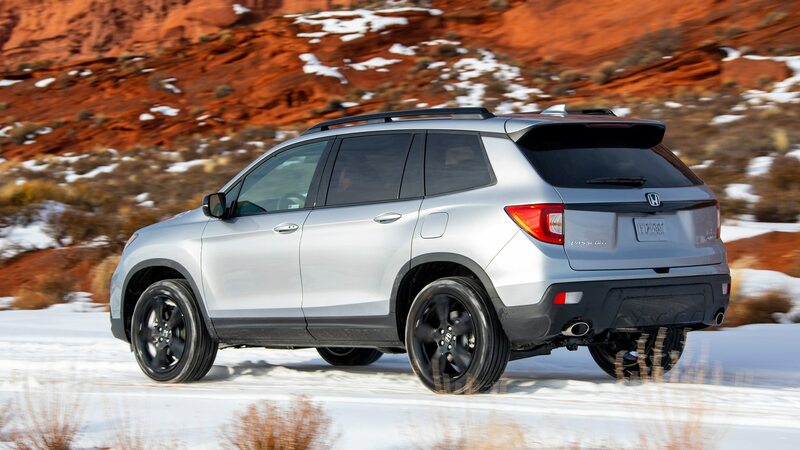 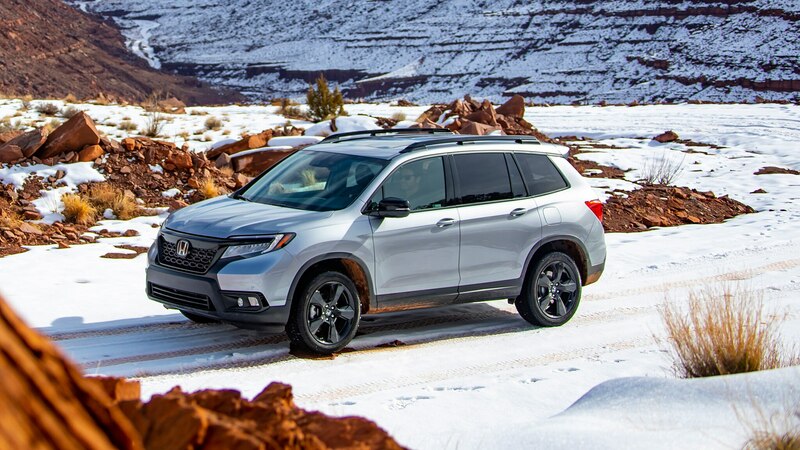 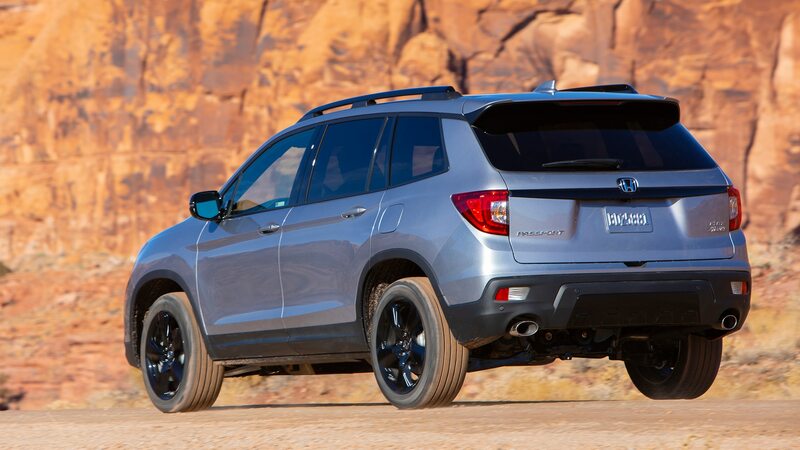 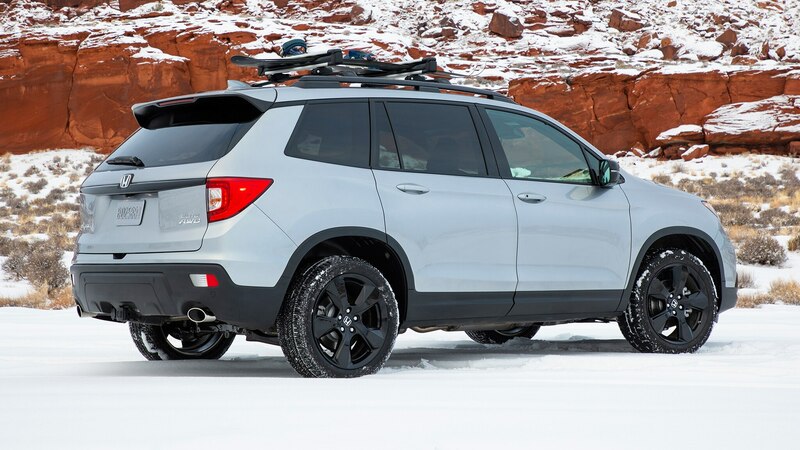 These improvements combine with a roughly 100-pound weight reduction to make the Passport noticeably better to drive both on and off the beaten path that the occasionally bobbly Pilot. 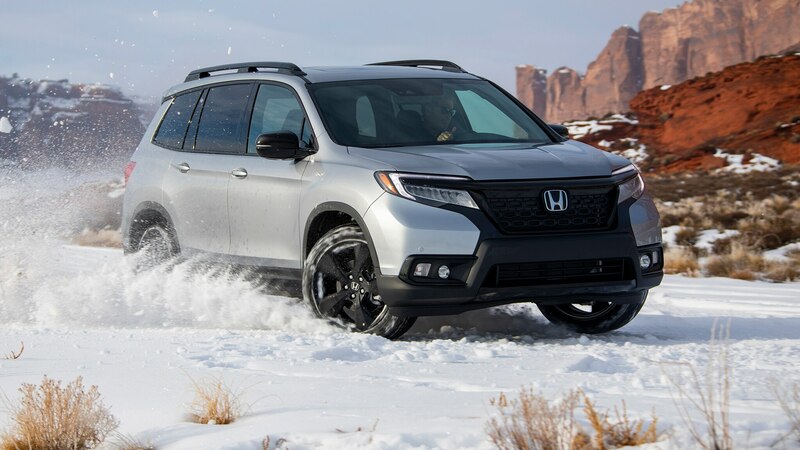 Honda’s excellent i-VTM4 torque-vectoring all-wheel drive can send as much as 70 percent of torque to the rear when conditions call for it. 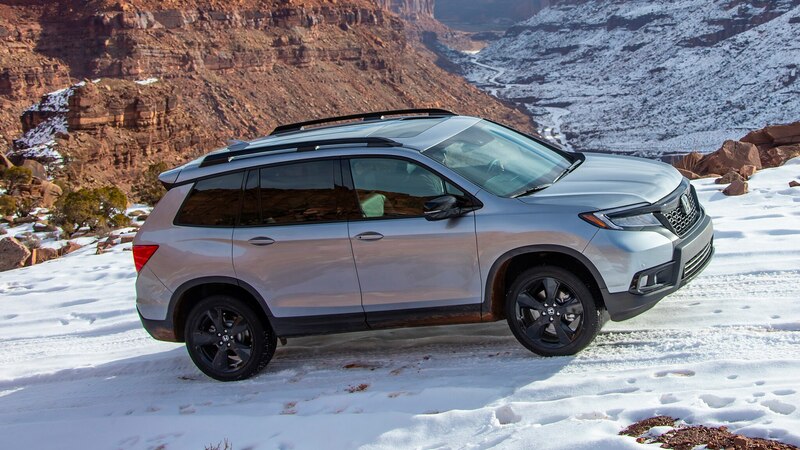 i-VTM4 also works with Intelligent Traction Management, which offers four different driving modes to suit the terrain: Normal, Snow, Mud, and Sand. 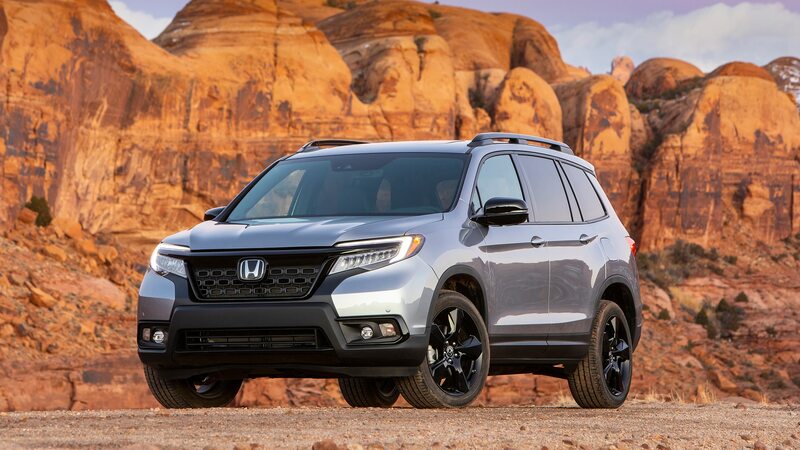 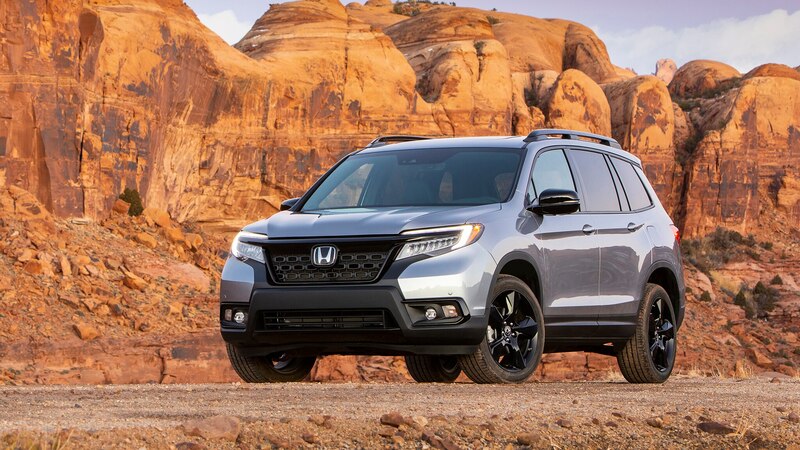 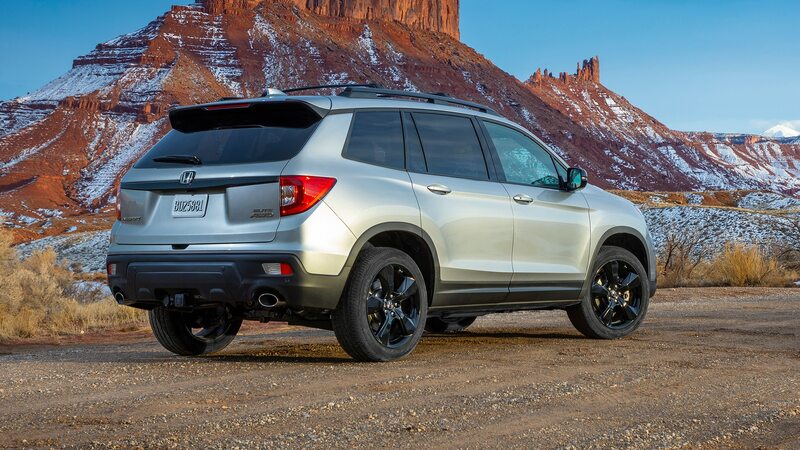 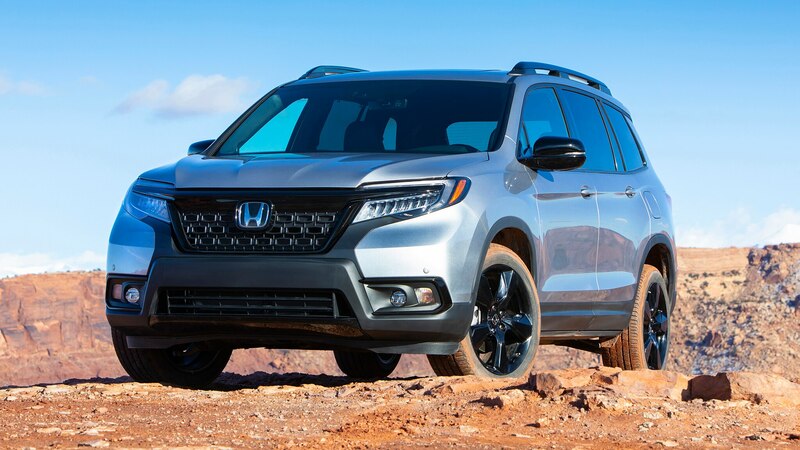 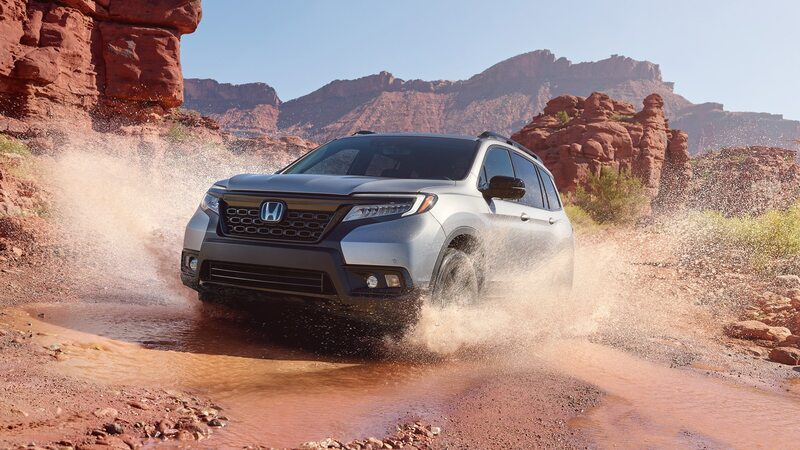 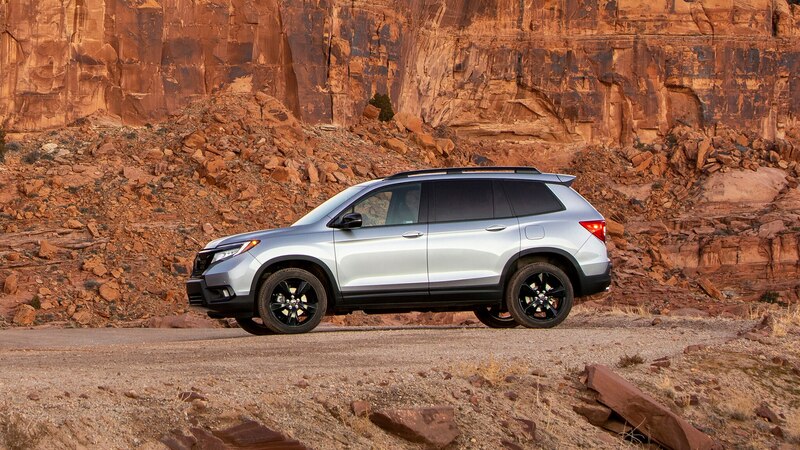 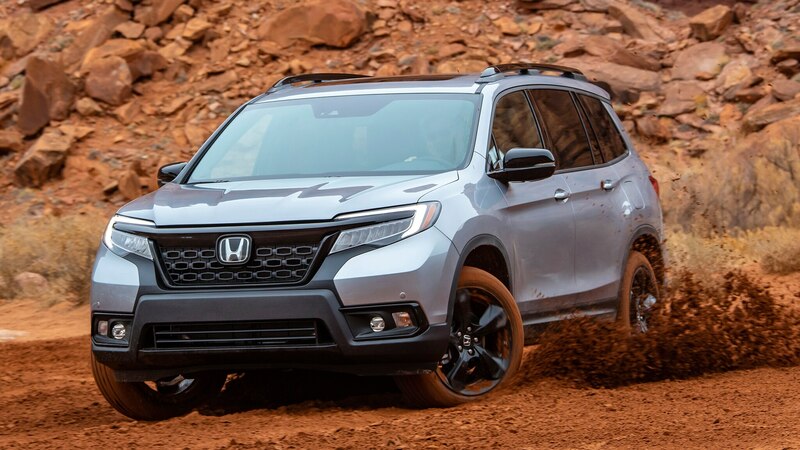 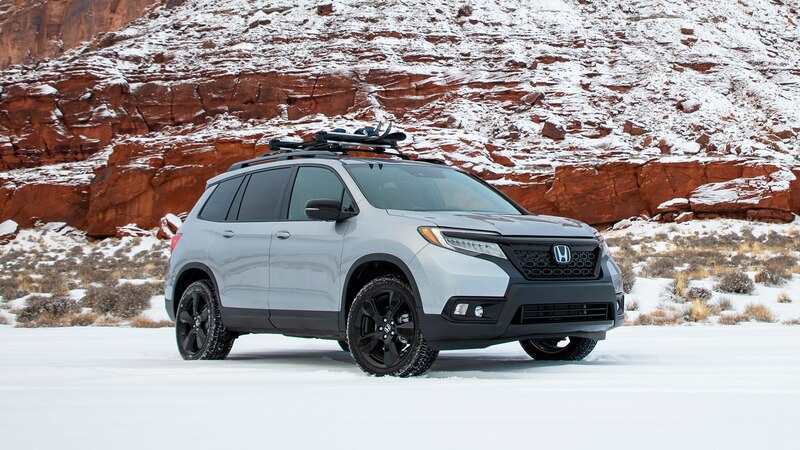 It’s little wonder then that Honda chose the craggy, mud-covered trails of Moab, Utah to launch its most “active lifestyle” vehicle yet. 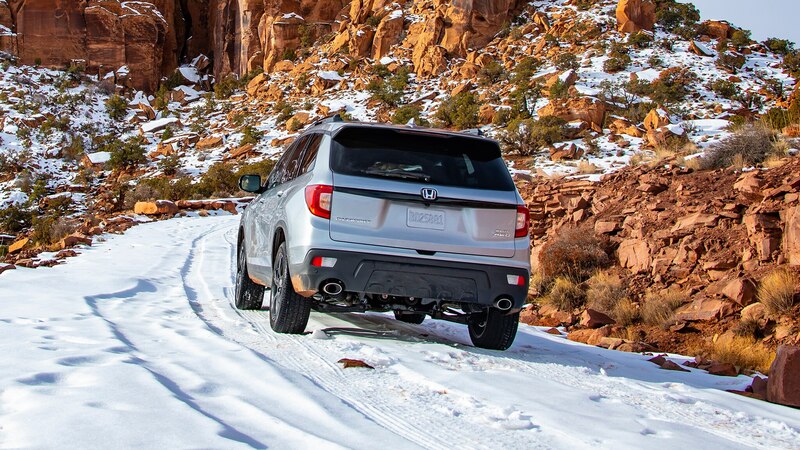 The Passport team has full confidence in the capabilities of its newest midsizer, allowing us free rein on the slick, canyon-riding backroads that were largely sans spotters or speed limits. 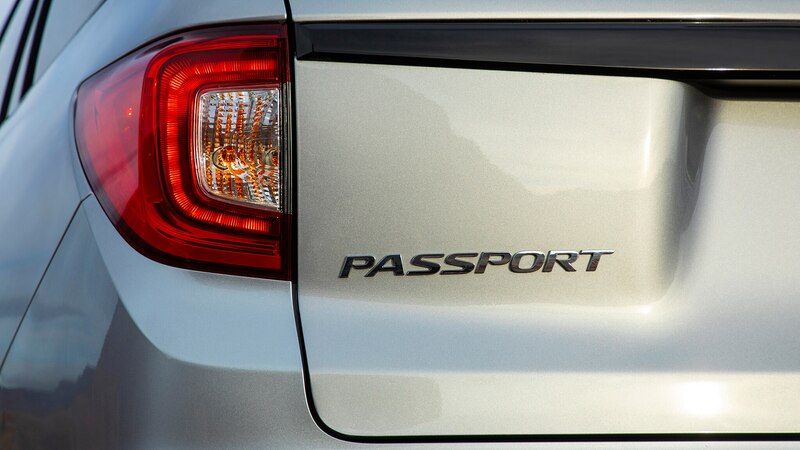 Each Passport was shod only with the stock factory rubber. 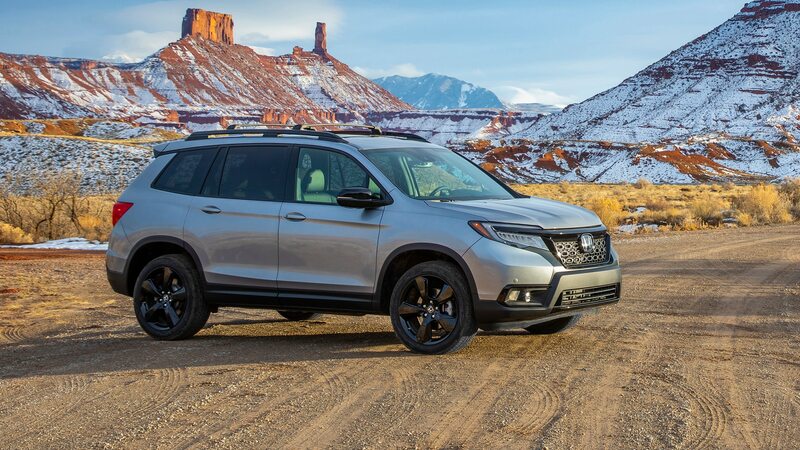 Before I mussed up my test vehicle’s shiny finish with Moab’s Mars-like red dirt, I had a stint on Utah’s absurdly smooth highway tarmac where the Passport proved to offer both pleasantly composed dynamics and a refined ride. 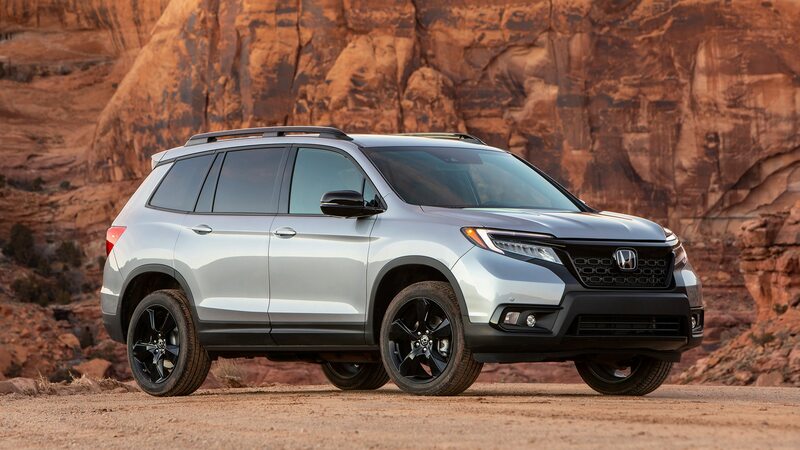 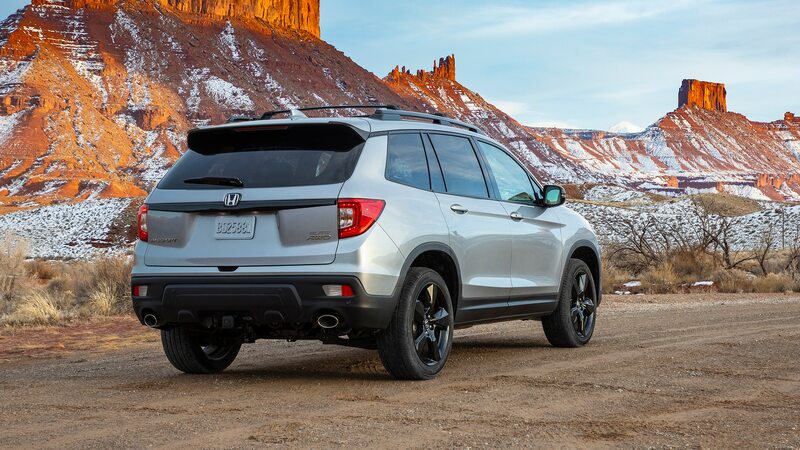 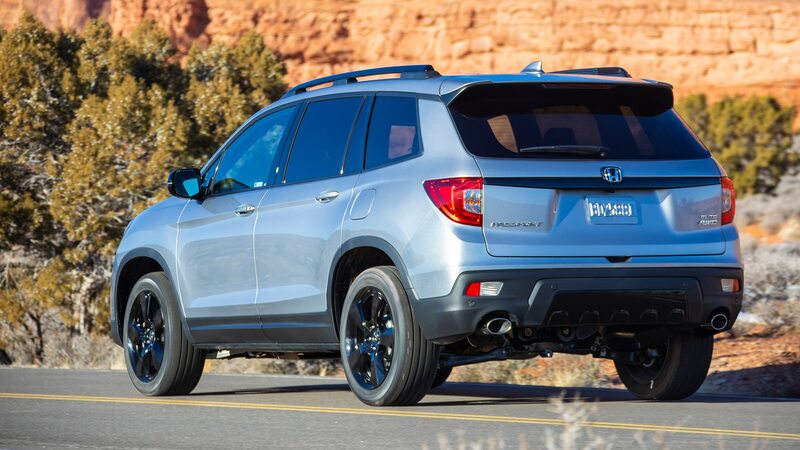 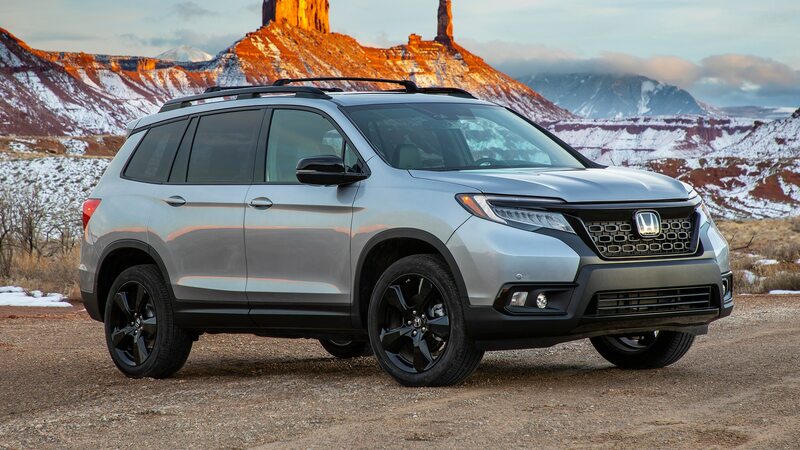 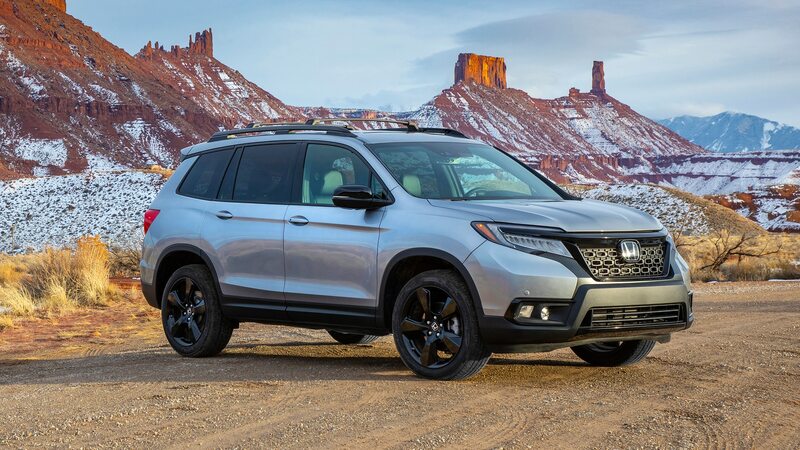 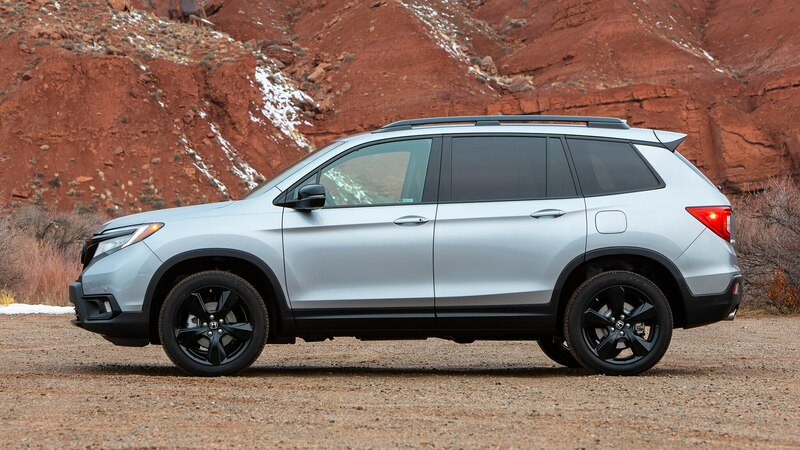 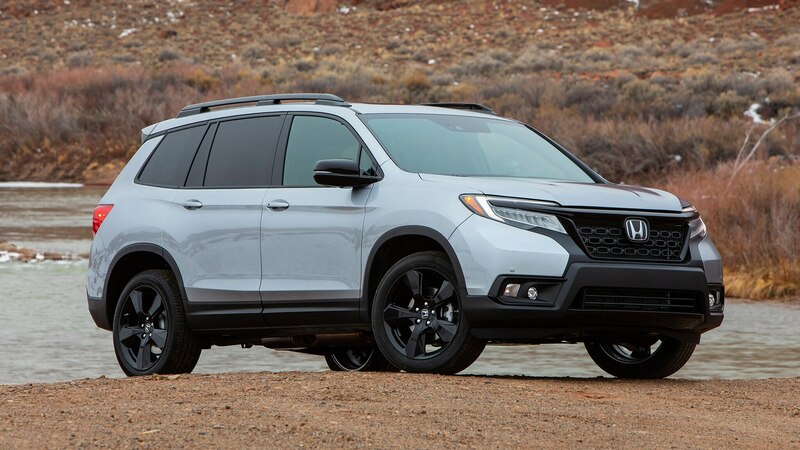 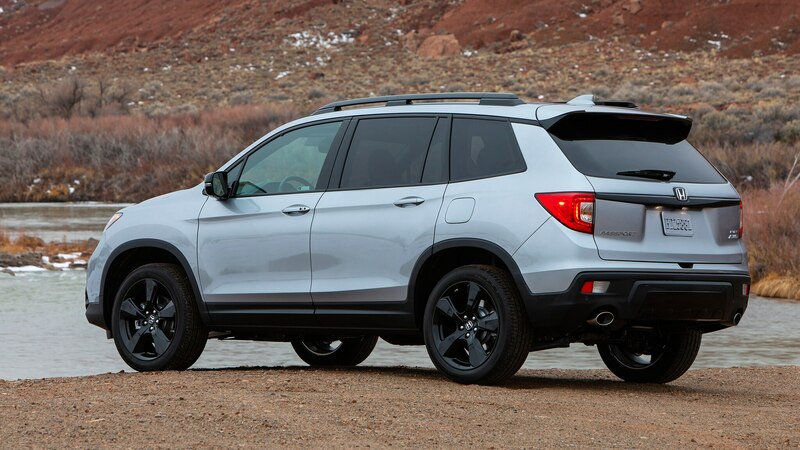 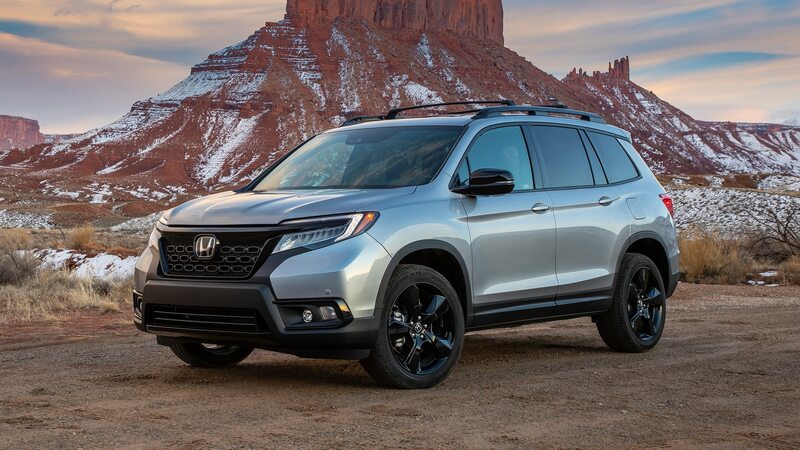 Chalk it up to subliminal thoughts from the big “H” grille badge perhaps, but the Passport seems as rock solid as the looming buttes that flank Utah’s Highway 198. 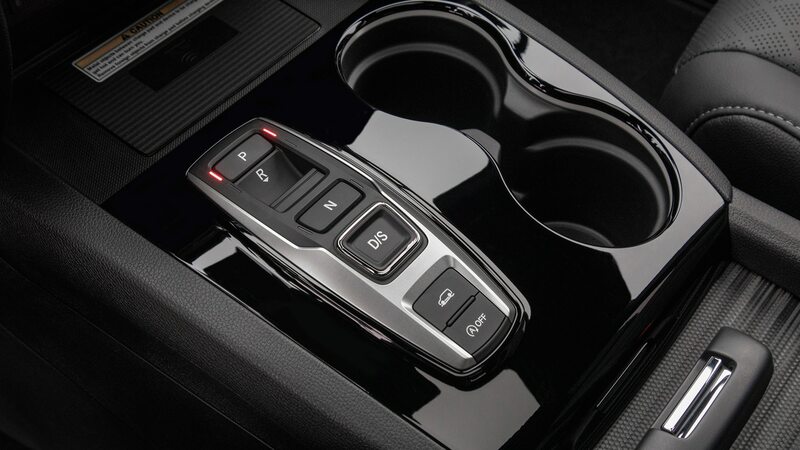 The steering electrically boosted and doesn’t offer much feedback, but it is at least nicely weighted, and the brake pedal does indeed feel improved. 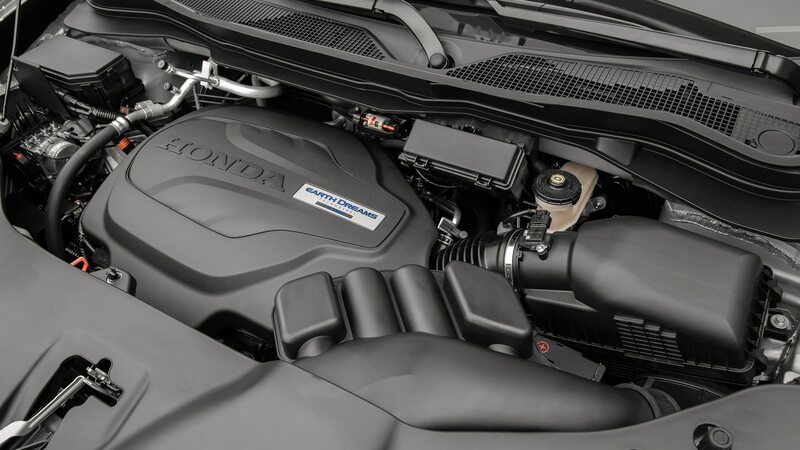 The J35Y6 3.5-liter V-6 offers more than enough muscle to scuttle the Passport to highway speeds, but the nine-speed auto still isn’t the sharpest ’box in terms of swapping gears smoothly, although Honda’s refinements have made it passable in this regard. 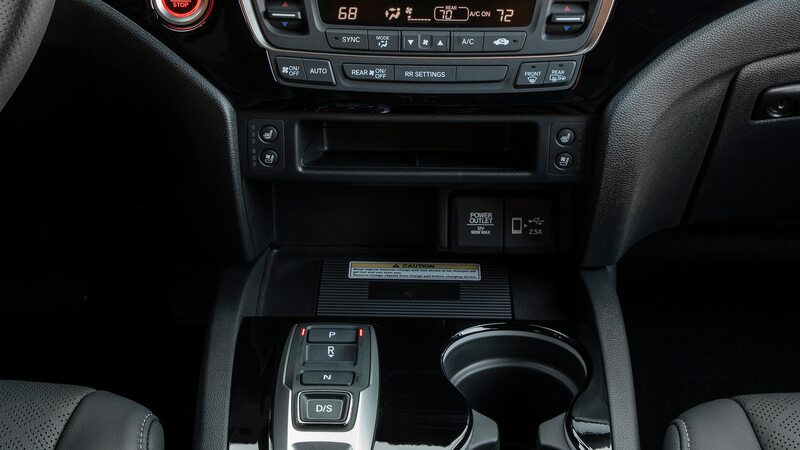 (And frankly, only those who have driven both versions and whose job it is to tell the difference probably will be able to do so.) 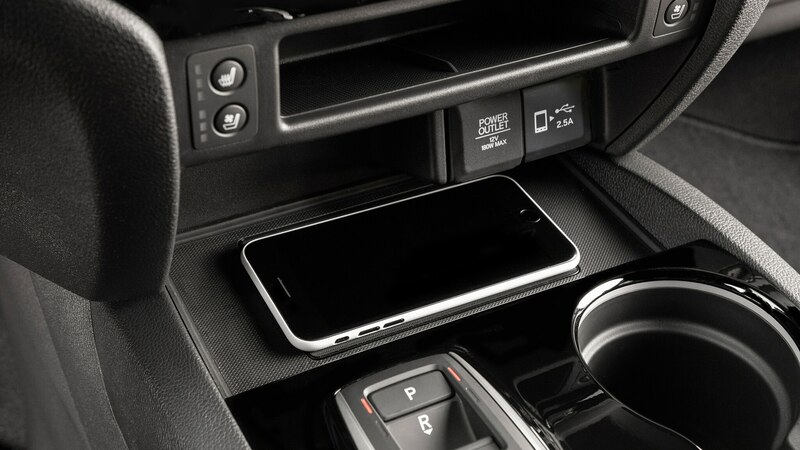 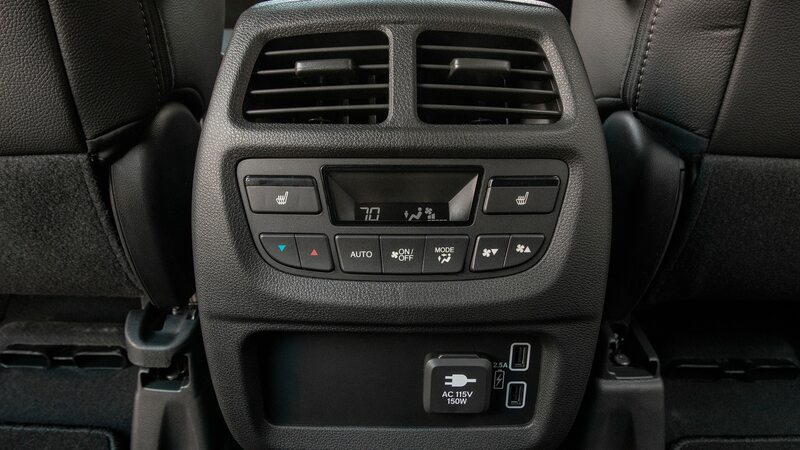 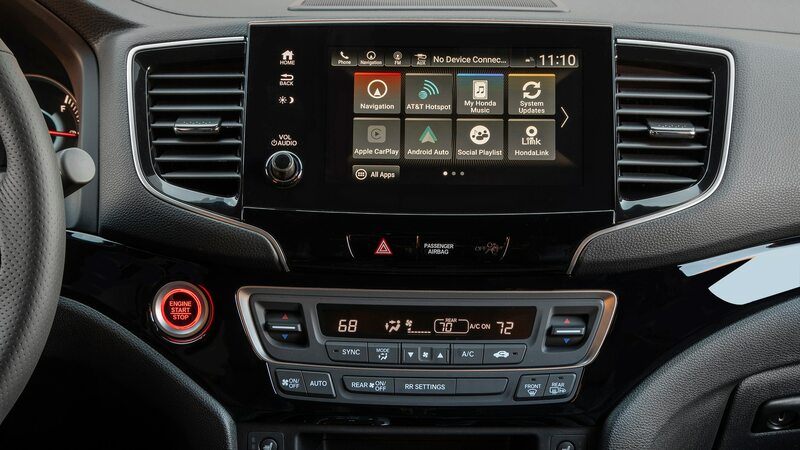 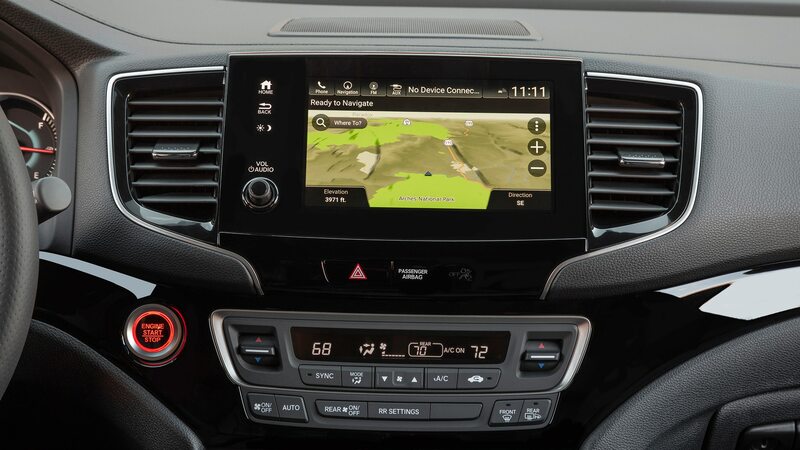 Honda has a 10-speed automatic in its repertoire that already mates to this engine in the Odyssey, although that gearbox has its own issues in terms of finding the right gear quickly and isn’t offered here. 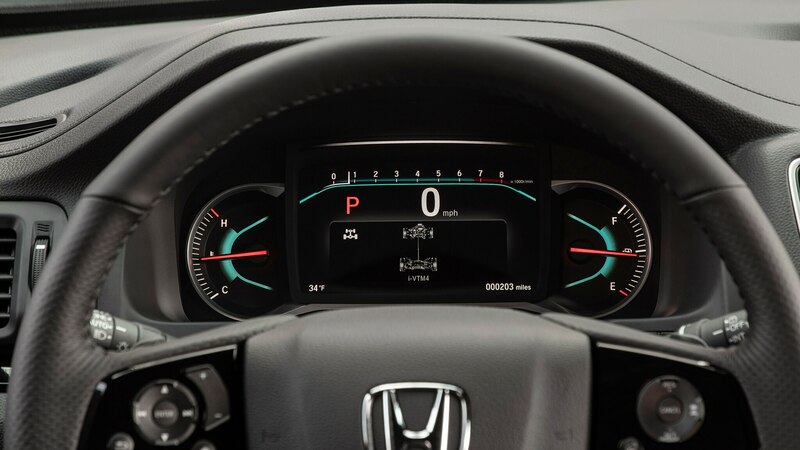 In an effort to shake some of the nine-speed’s reliability problems in early Pilots, Honda reworked it to sometimes start in second gear under light load. 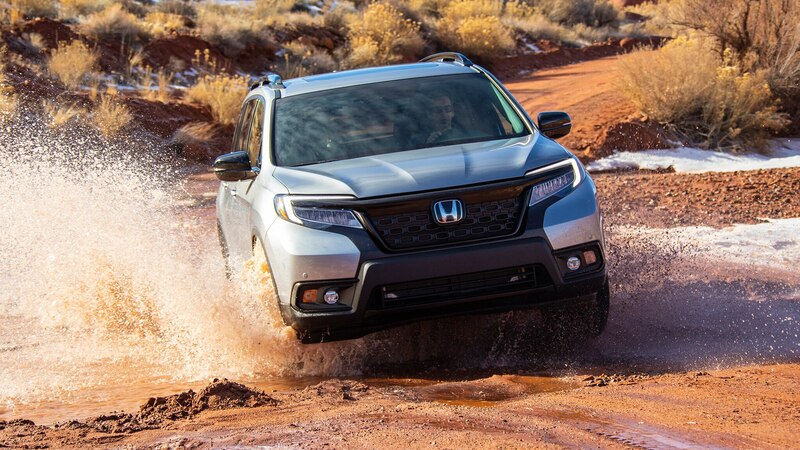 I eventually turned off the glassy pavement and onto a winding 4×4 path that continuously transitioned between slick mud channels and dusty gravel. 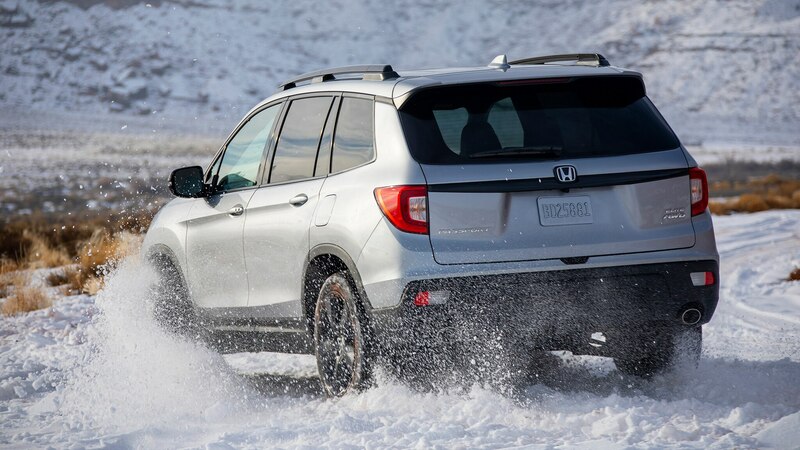 Toggling between Normal, Mud, and Snow modes with the dedicated console controls is a breeze, but I only deviated from Normal mode when the going got particularly rough. 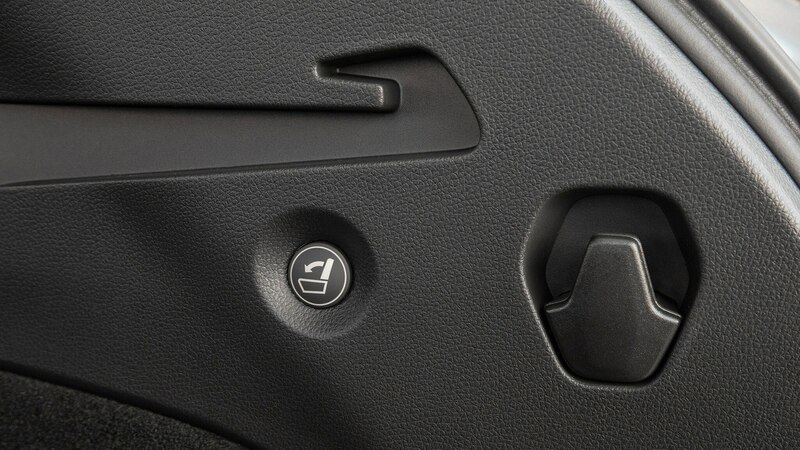 During a few patches, it did indeed do so. 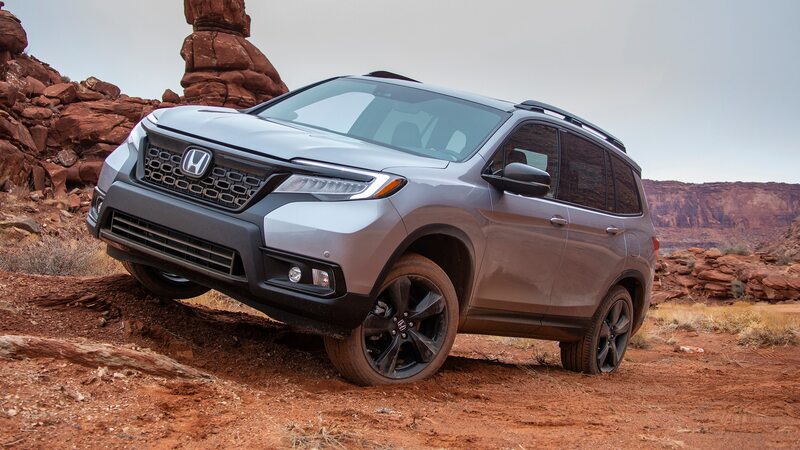 We understandably avoided any trail sections that would challenge a lifted CJ, but still hopped through slow rocky clusters without any problem whatsoever, even when the Passport briefly became a tripod. 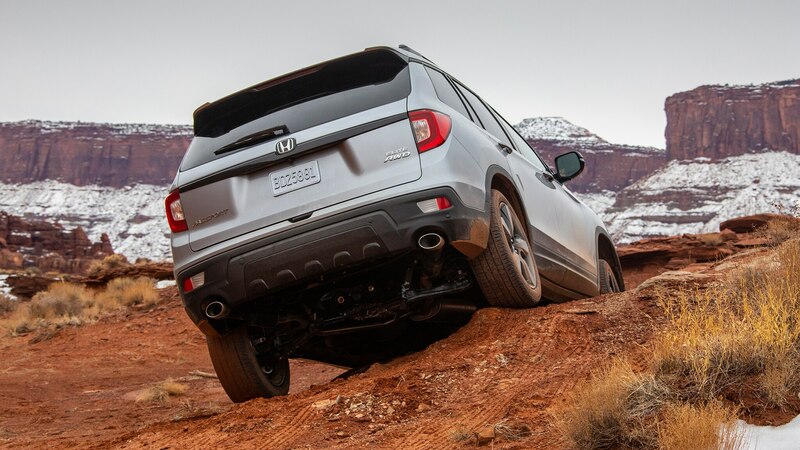 Though there is no dedicated setting for rock crawling, I was told Mud mode was ideal for these types of scenarios. 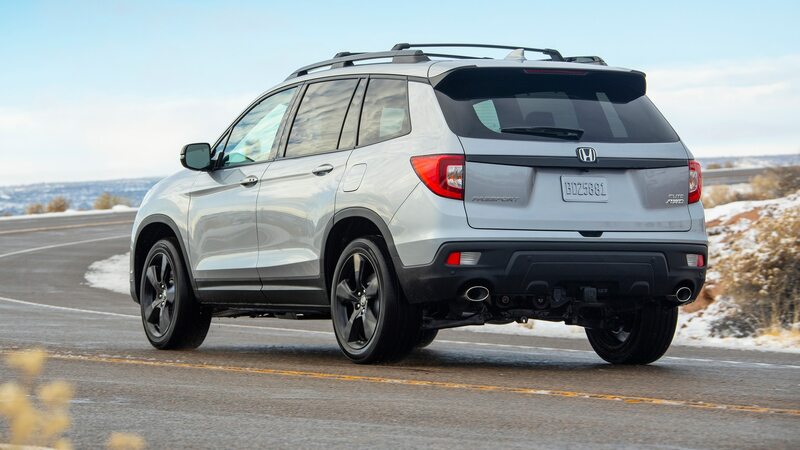 While active, Honda says response is less aggressive during low-throttle situations but increased during high-throttle ones. 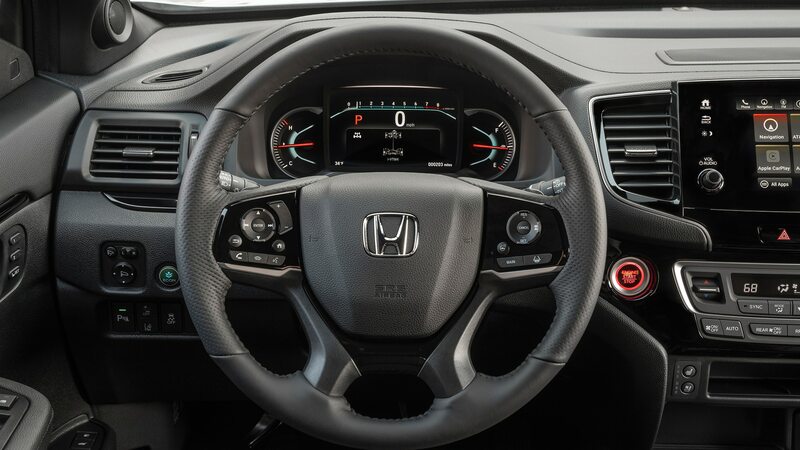 Torque is split 50/50, while traction control is reduced to allow for more wheel slip to maintain momentum. 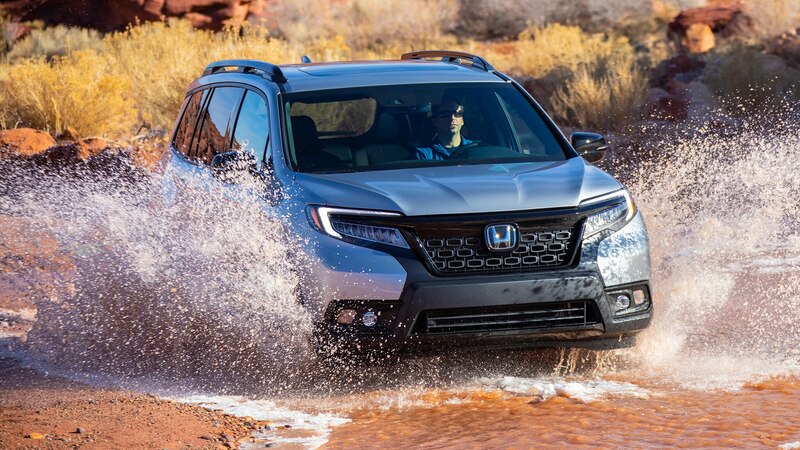 While we crashed through standing mud puddles and fish-tailed through slurries of snow and slime, my drive partner and I casually chatted about, well, whatever. 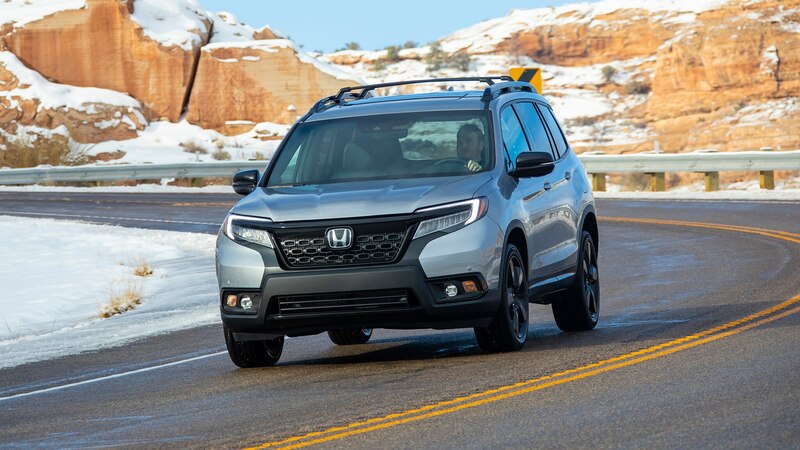 It wasn’t until we arrived at the crest of the spectacular Little Spring Canyon gorge that we realized how composed and uneventful our trip was. 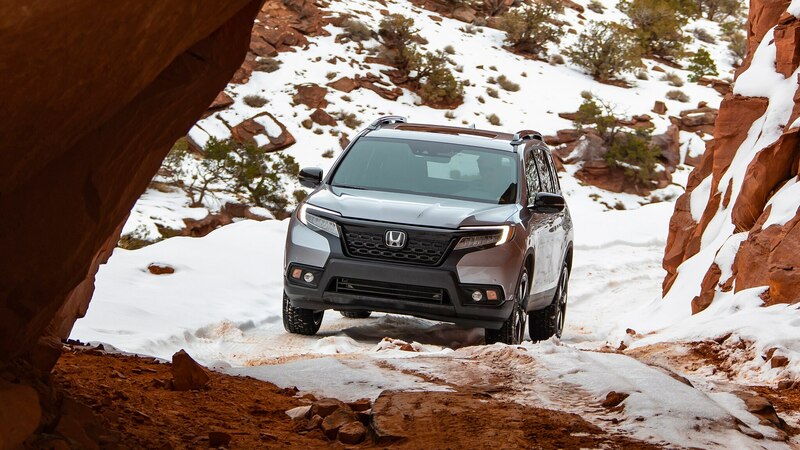 Forty-mph sprints down rutted snow-covered paths was no big deal; neither was bouncing over basketball-sized boulders on our way to an outcrop to watch the sunset dip beneath Moab’s rocky horizon. 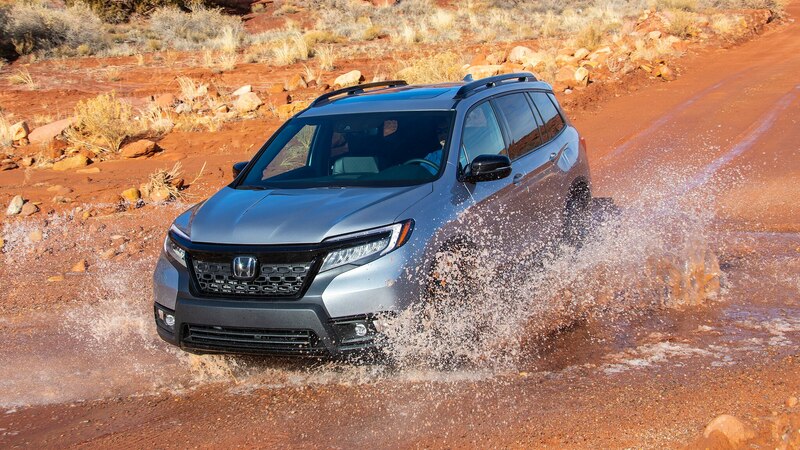 That’s not to say Passport owners should attempt Moab’s Metal Masher or secure a spot in next year’s Baja 1000, but the Honda’s performance is impressive for a regular day-to-day crossover. 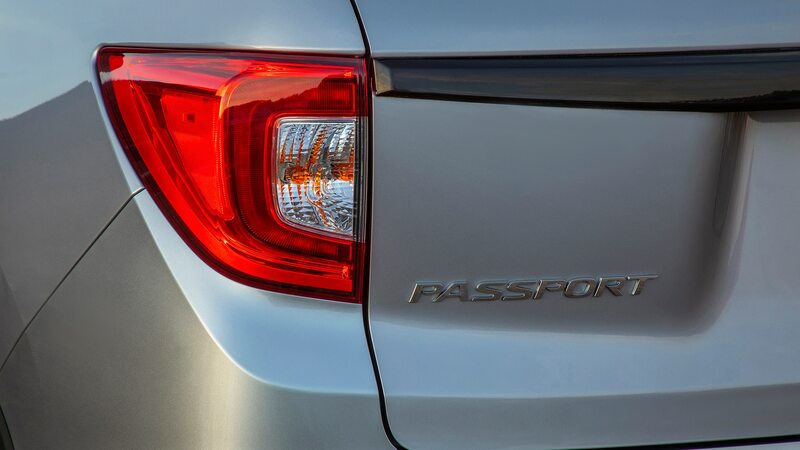 If I hadn’t traversed them myself in the Passport, there were some sections I wouldn’t have believed such a crossover could have tackled. 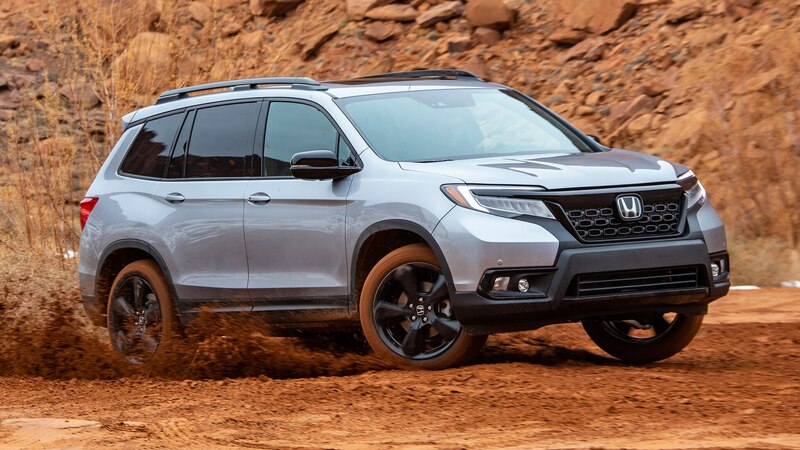 Perhaps more impressive is how willingly it scrambled over rocky passes with the standard all-season tires; with some proper all-terrains, there are likely few regularly accessible off-road areas you couldn’t conquer. 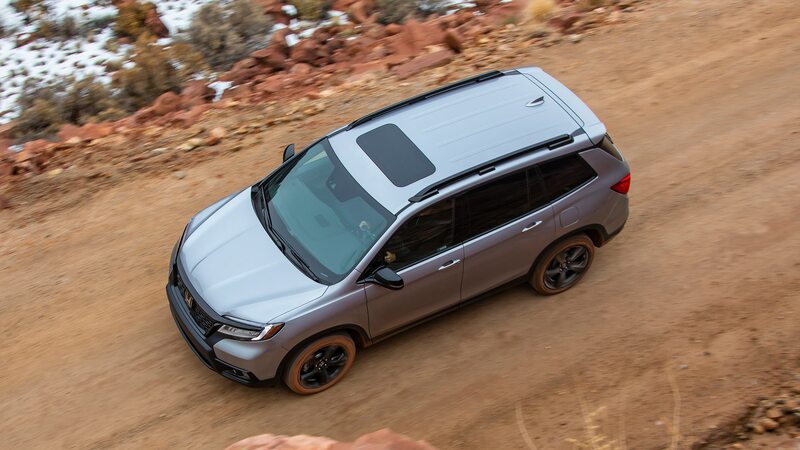 The cabin is a copy-paste of the Pilot’s, but that certainly isn’t a bad thing. 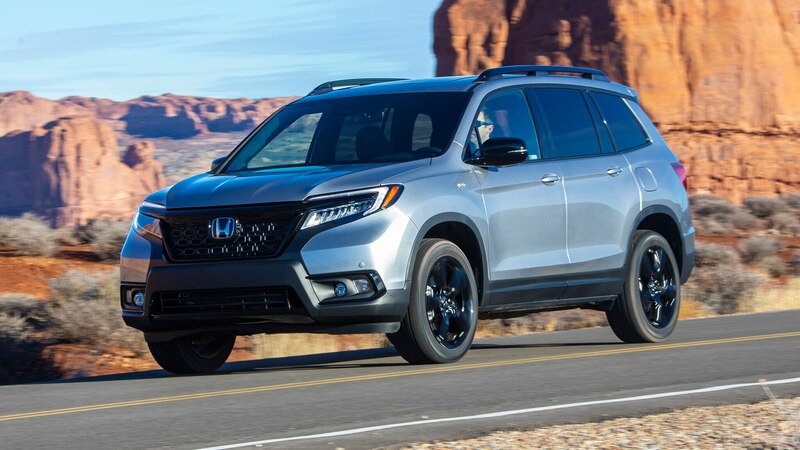 The only trim made available during the drive was the cushy range-topping Elite, but regardless of equipment, the Passport is a versatile and incredibly usable daily runabout. 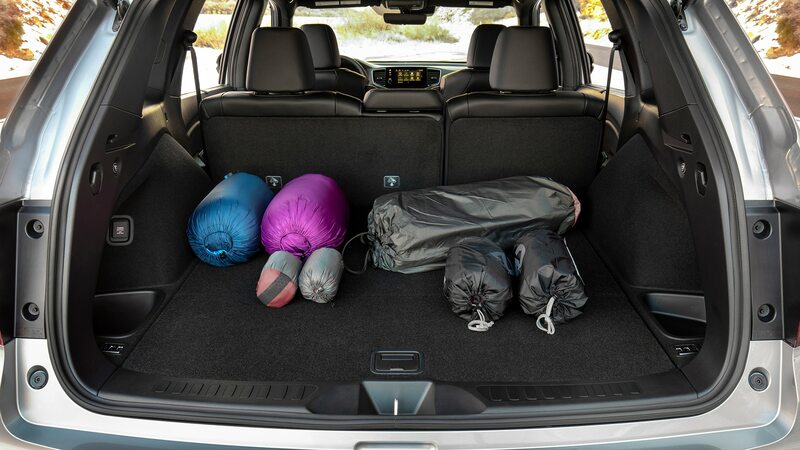 It’s down 6.5 inches of overall length on the Pilot, but that doesn’t mean cargo capacity suffers. 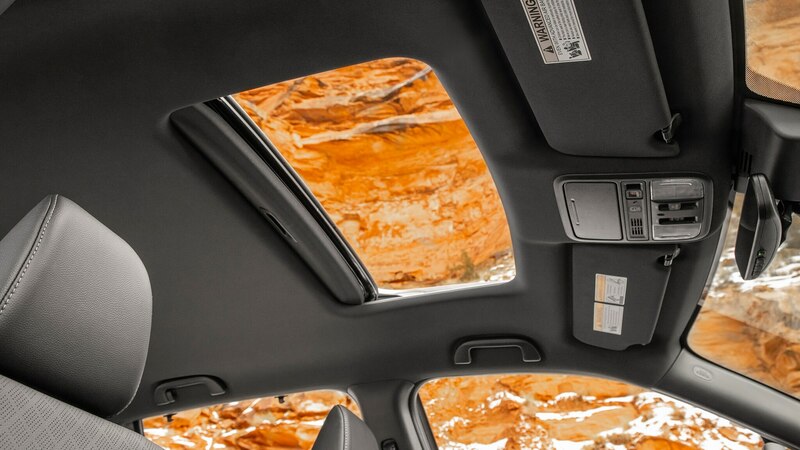 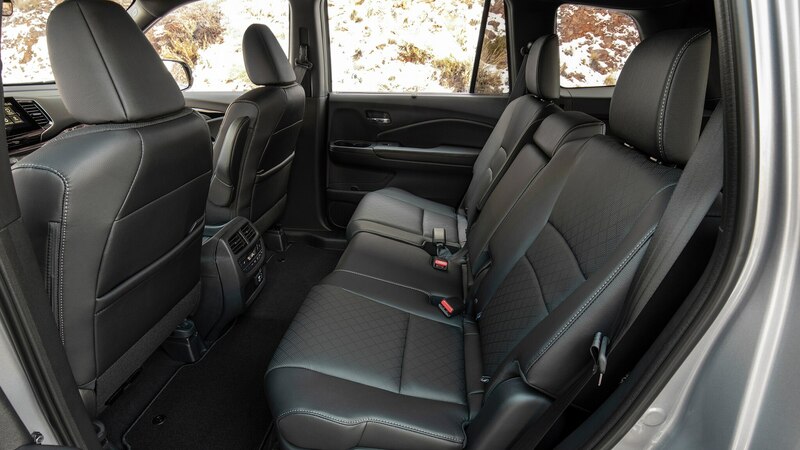 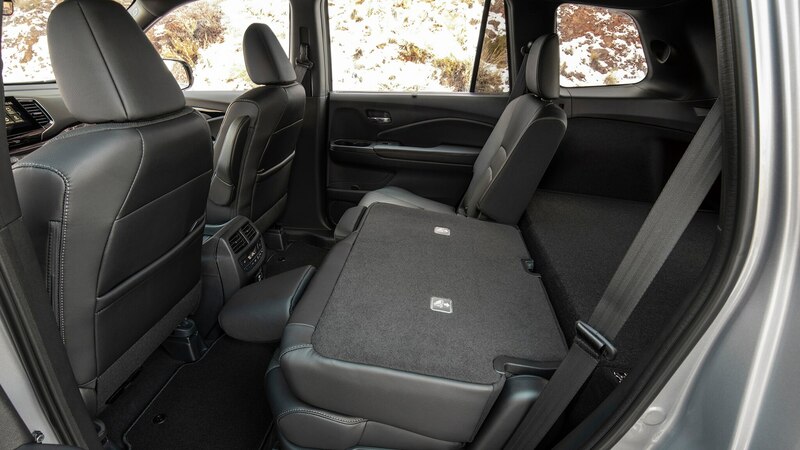 Without the rear seats raised, the Passport offers 41.2 cubic feet; the number jumps to 77.9 cubes with them folded. 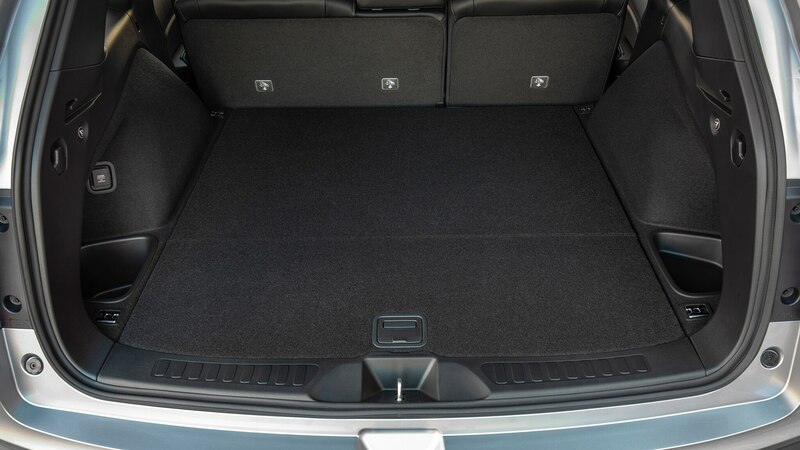 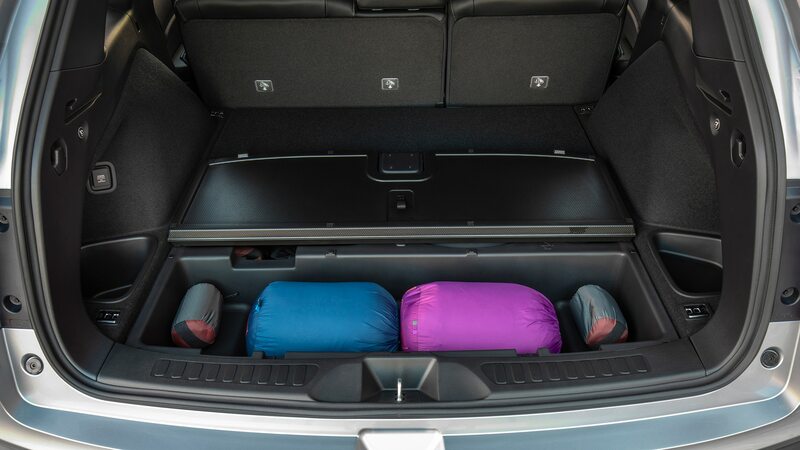 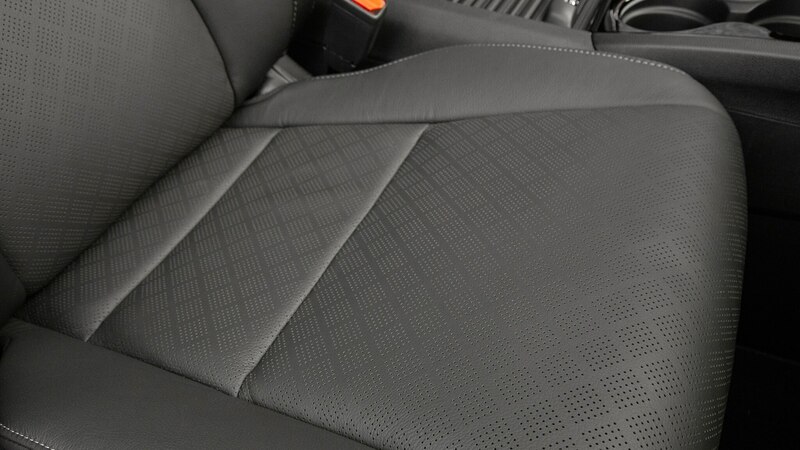 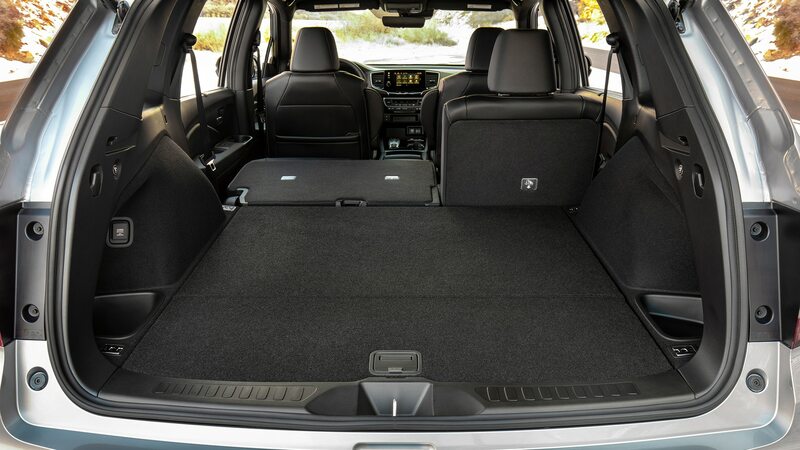 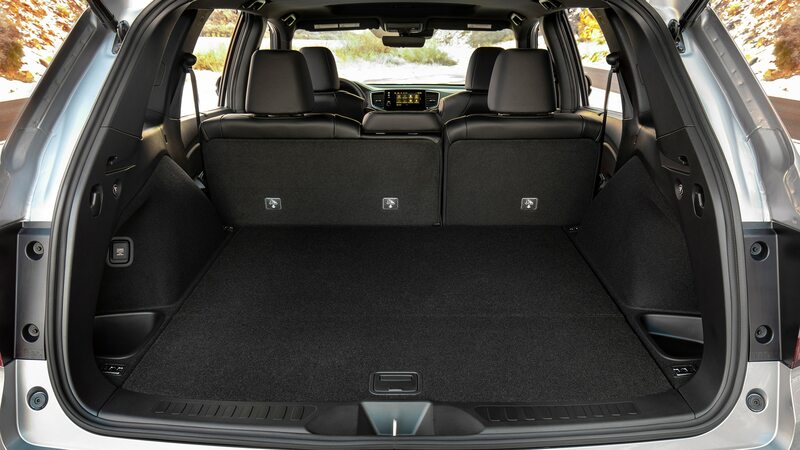 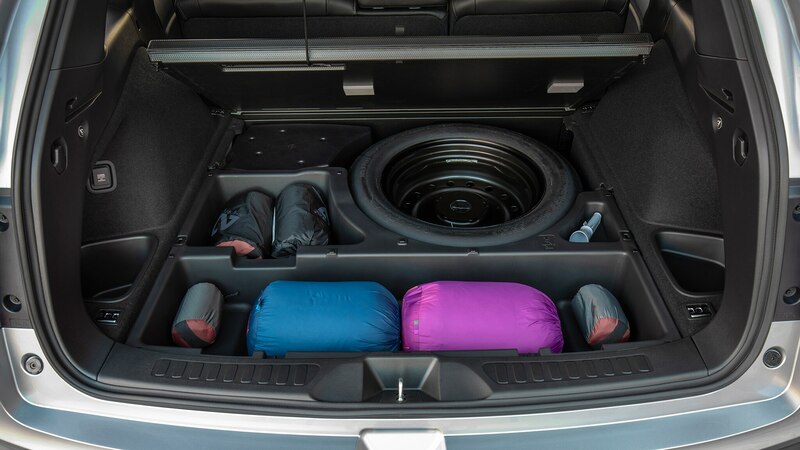 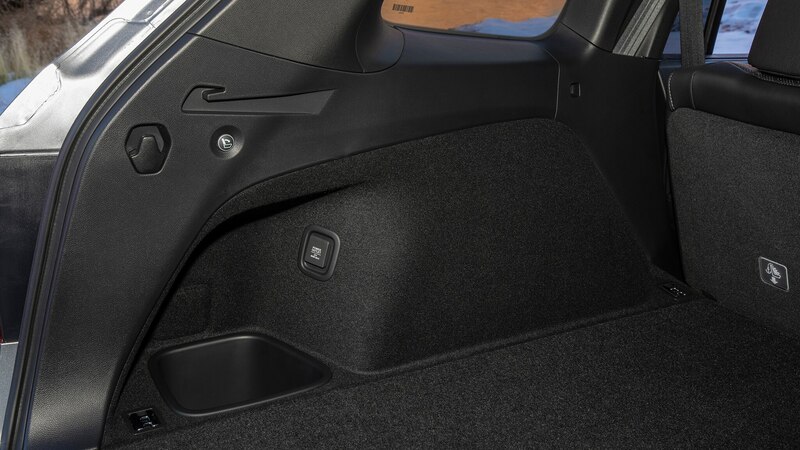 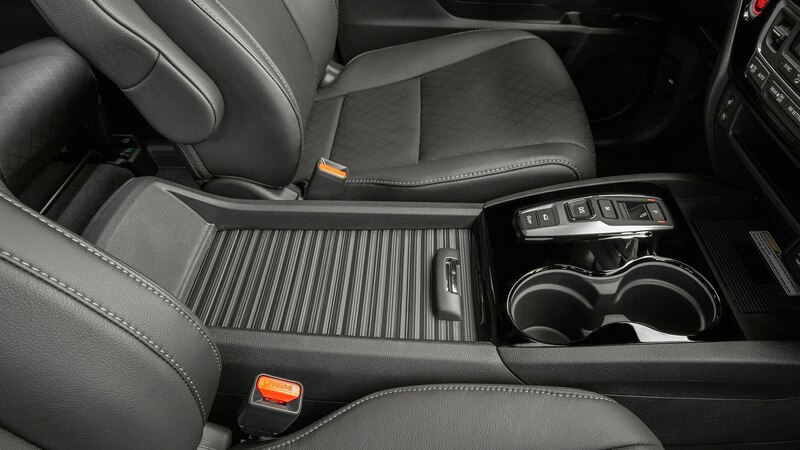 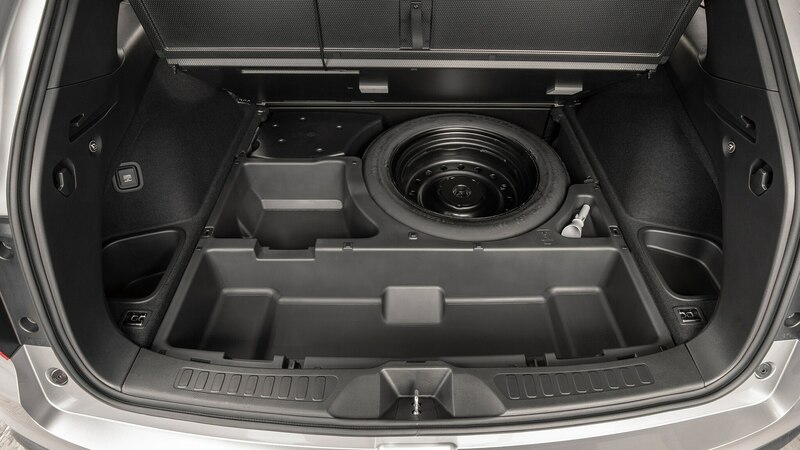 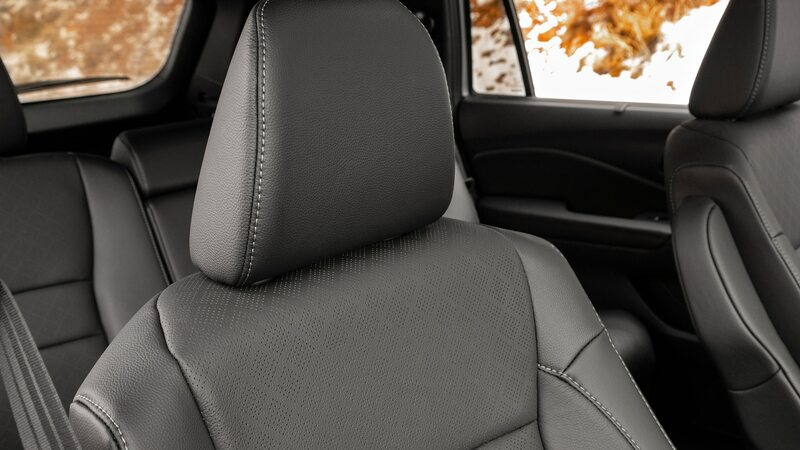 Lift up the rear cargo floor, and you’ll find a removable, washable cubby with 2.5 cubic feet of additional storage. 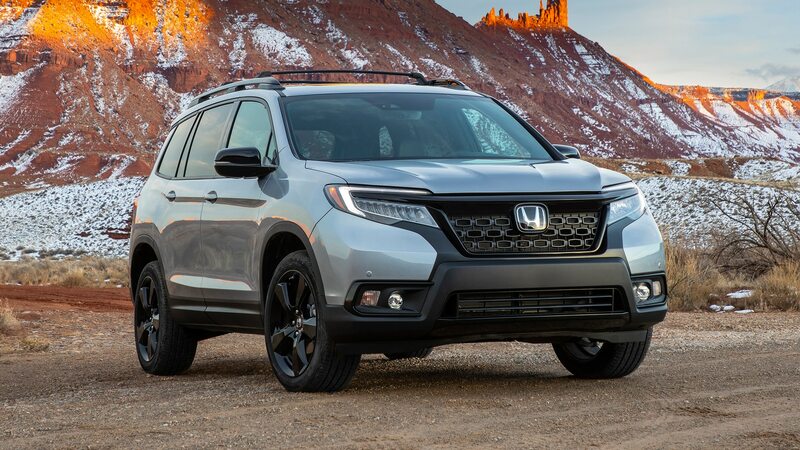 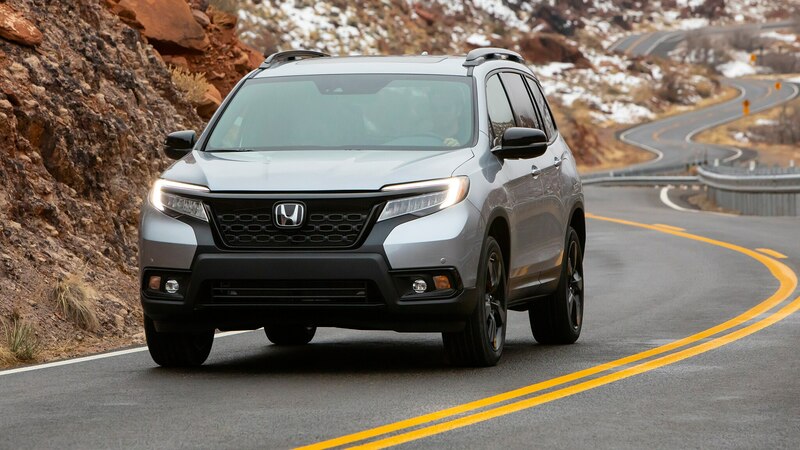 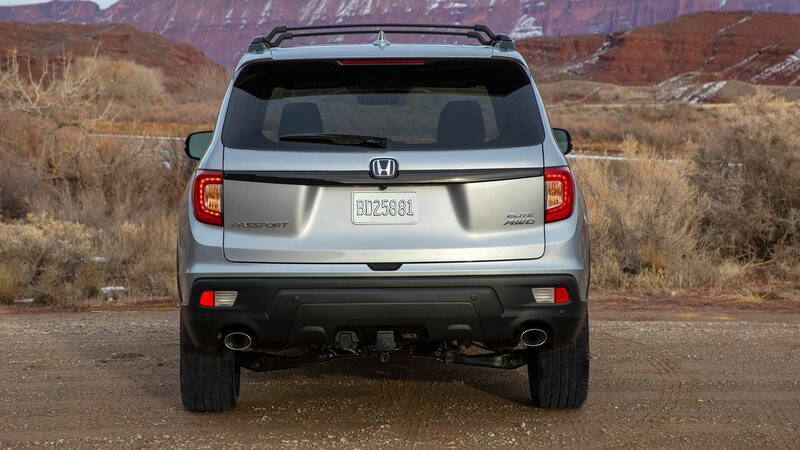 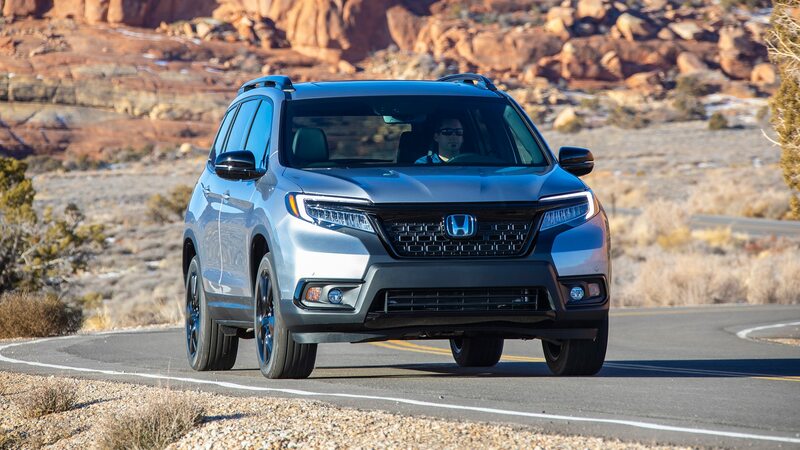 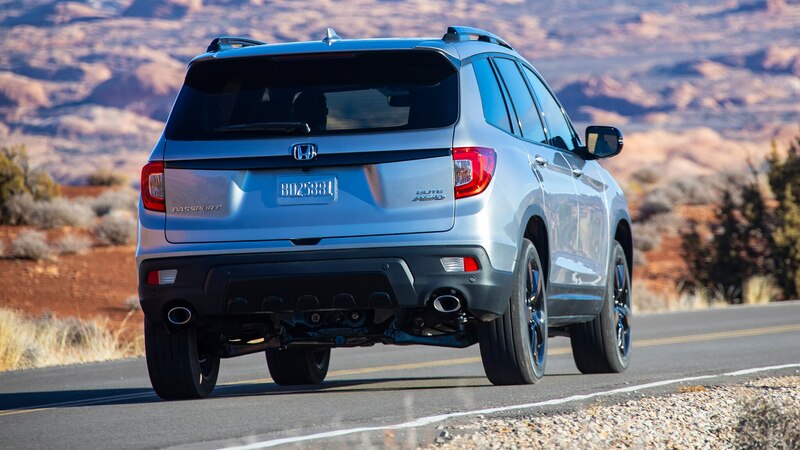 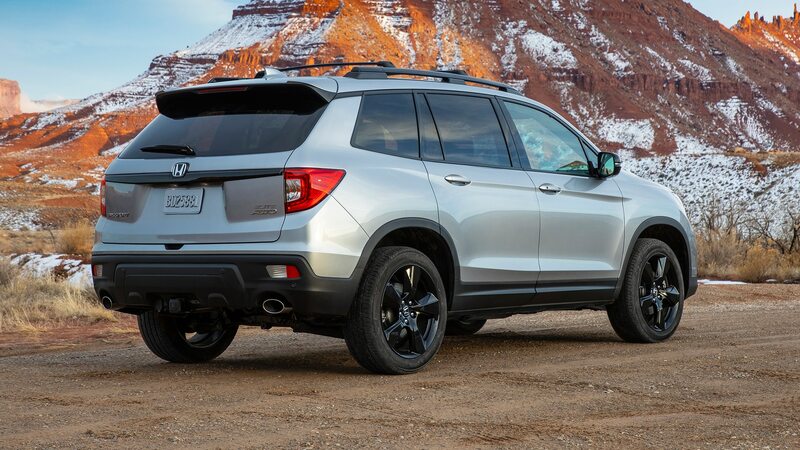 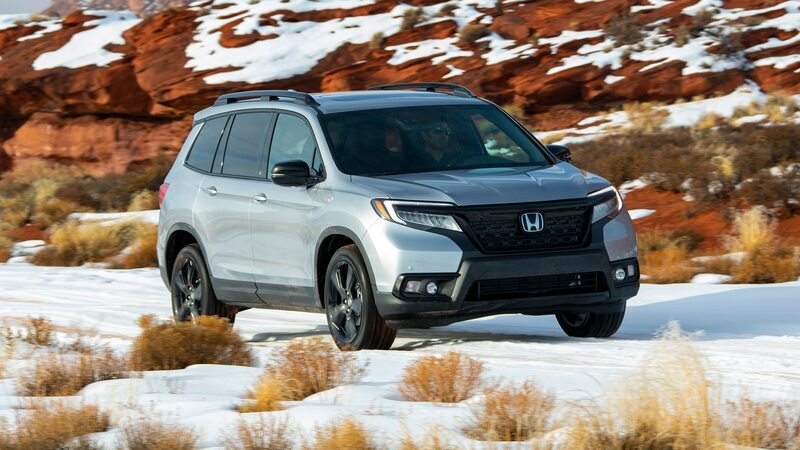 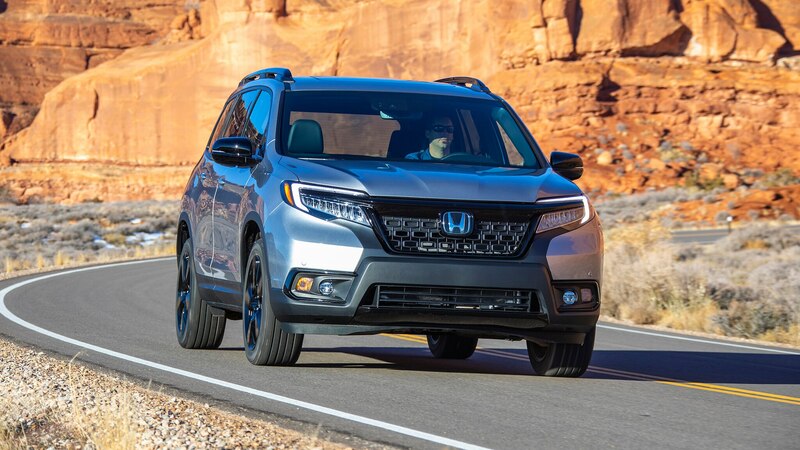 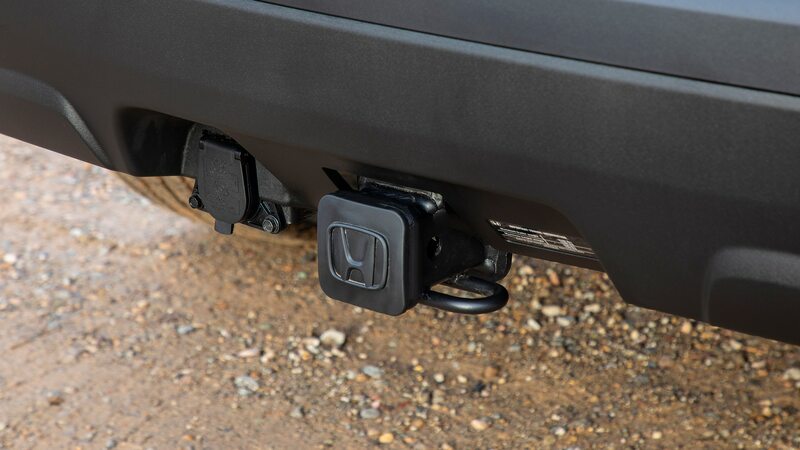 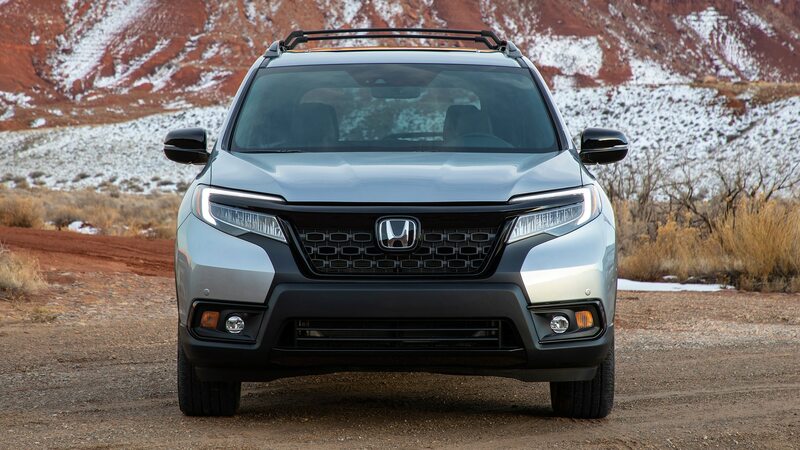 For those to whom crashing around the Utah wilderness is perhaps a bit too rough and tumble, they’ll be pleased to hear the Passport comes with Honda Sensing as standard. 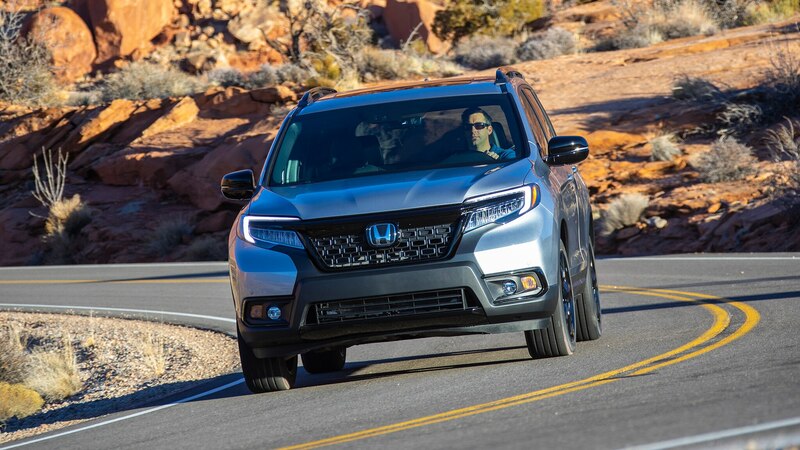 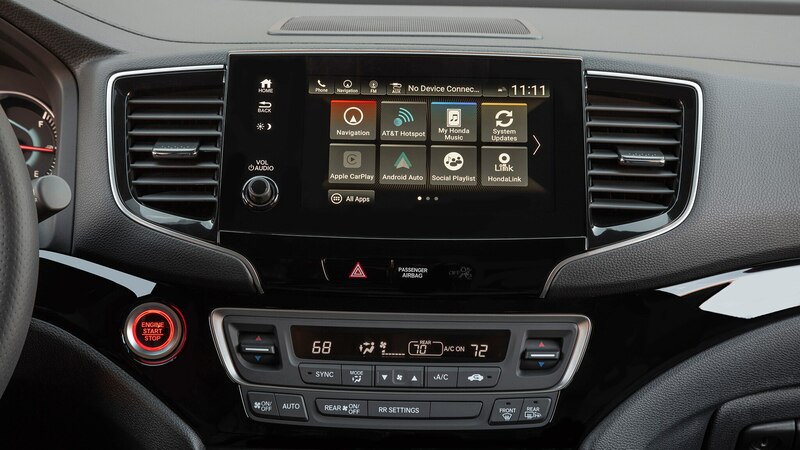 This is the automaker’s suite of safety and driver-assistance systems, and includes collision mitigation braking, lane-keep assist, lane-departure warning, road-departure mitigation, and adaptive cruise control. 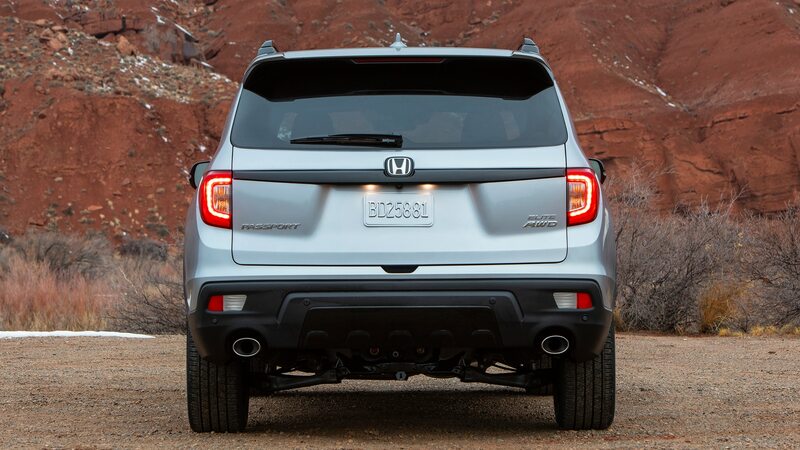 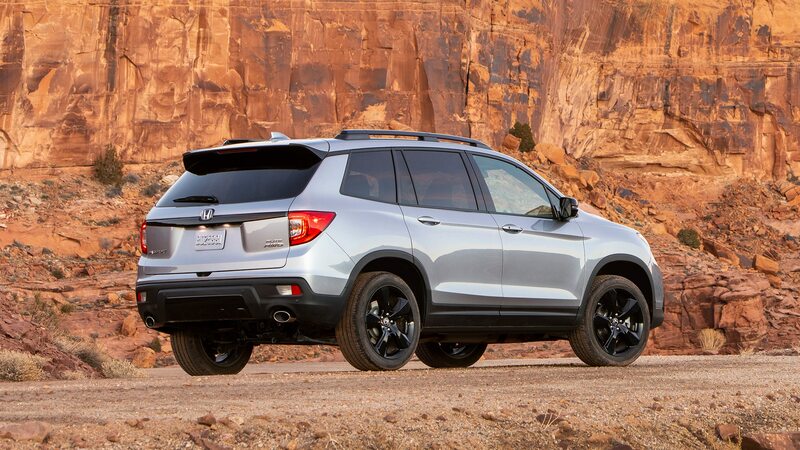 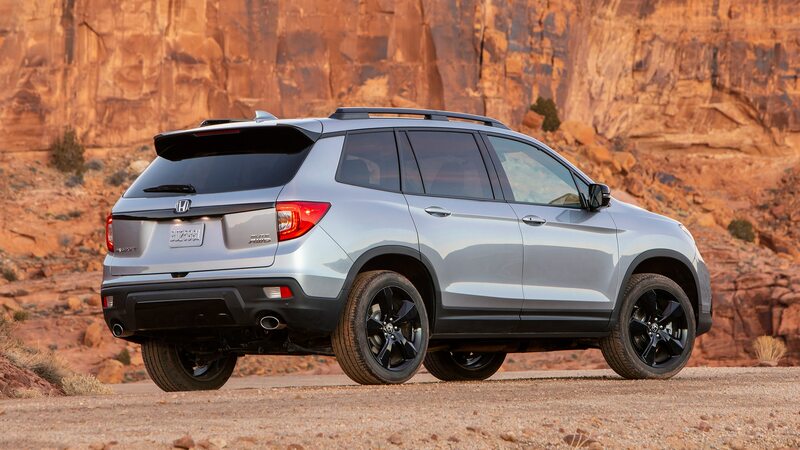 In terms of cost, the Passport’s pricing is right on track with its place in the Honda lineup. 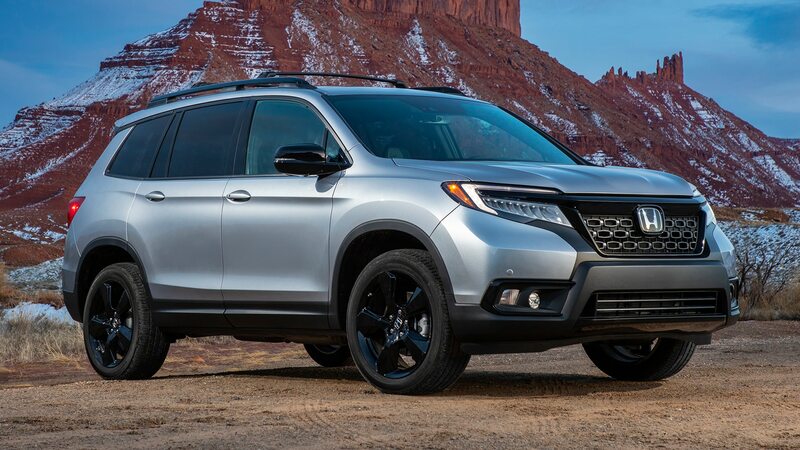 Expect to pay $33,035 for the entry-level, front-wheel-drive Passport Sport, with $1,900 required to add all-wheel drive to it and the $37,455 EX-L and $40,325 Touring trims. 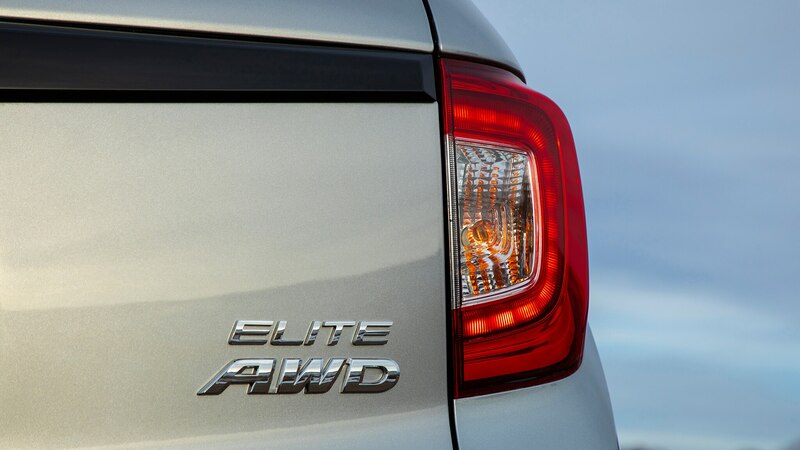 AWD is standard on the range-topping $44,725 Elite. 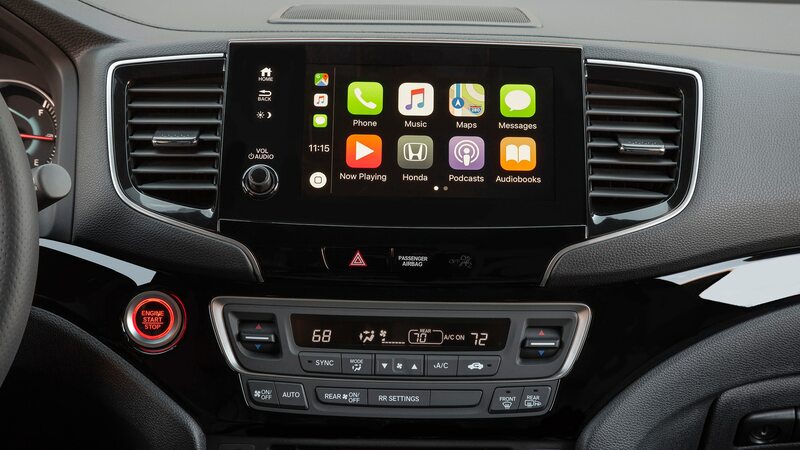 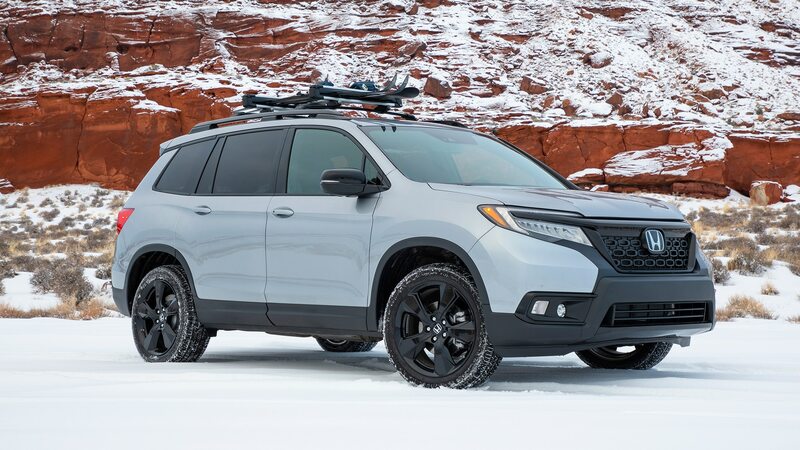 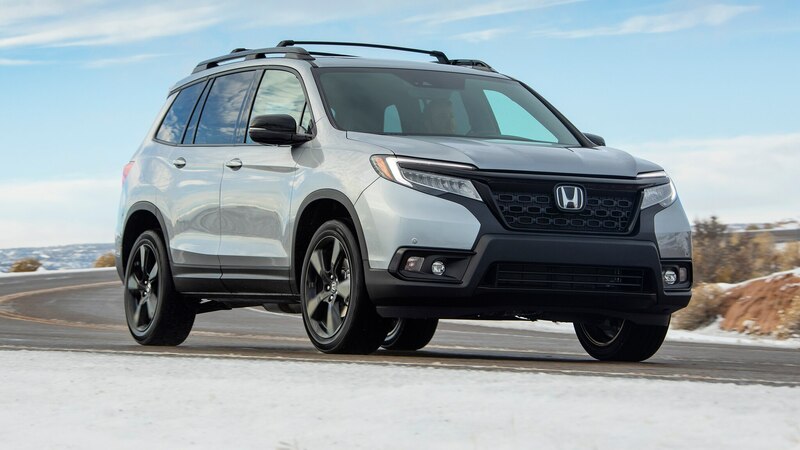 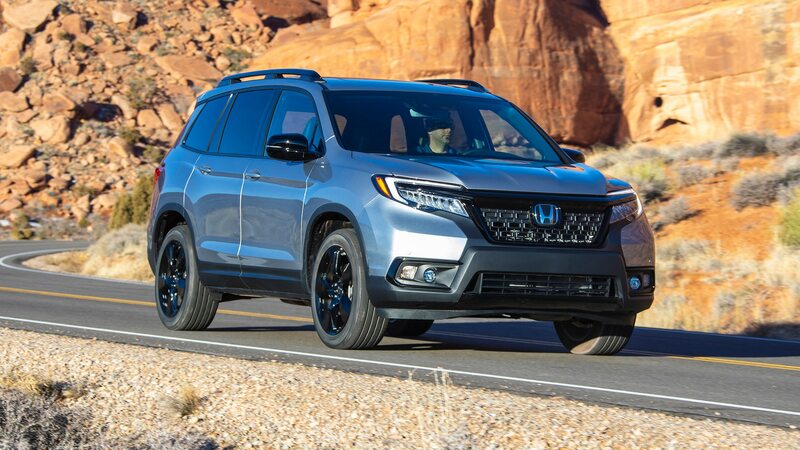 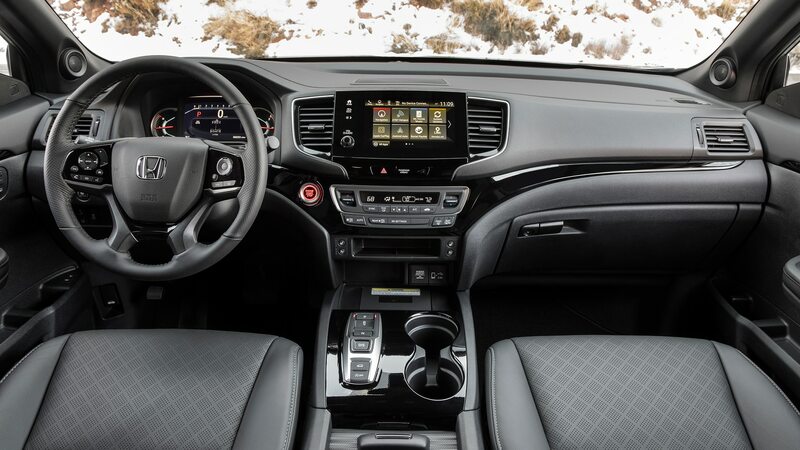 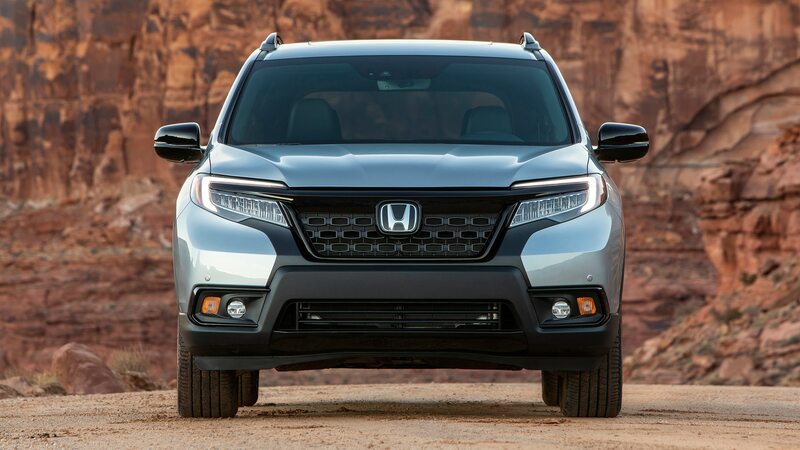 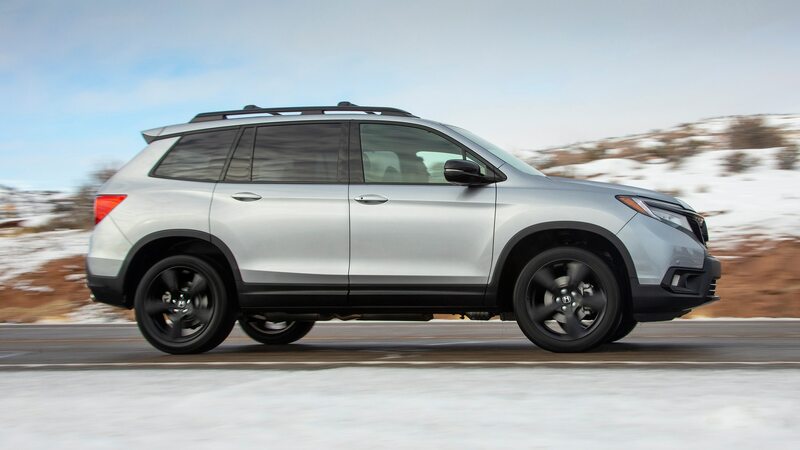 While this might be a smidge more expensive than the Nissan Murano or Ford Edge, Honda is admittedly correct when it points to the Passport’s high level of standard equipment for the segment as justification. 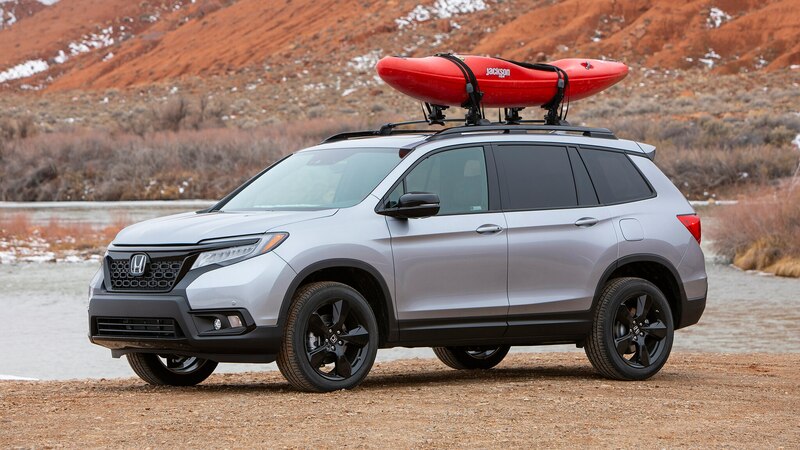 If you like the Pilot but don’t need something quite so big, or if you need a daily livable SUV-type thing that can handle a climb to your Colorado cabin, the 2019 Passport is certainly worth a look. 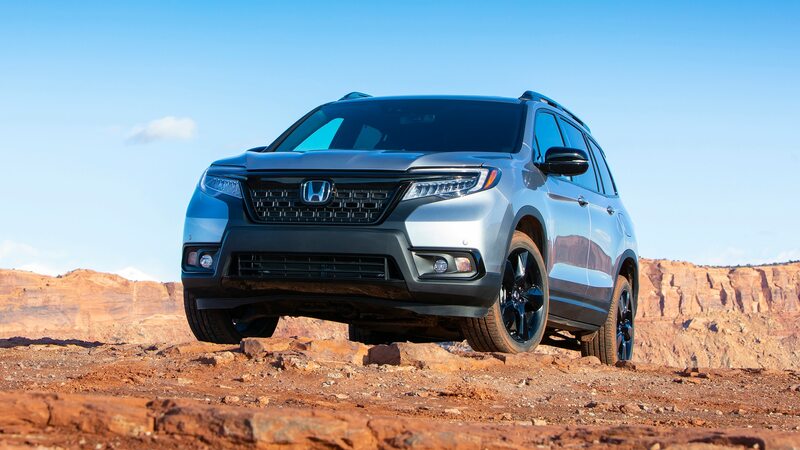 While it may not thrill in the conventional sense, this new Honda delivers the goods by doing its job almost perfectly.